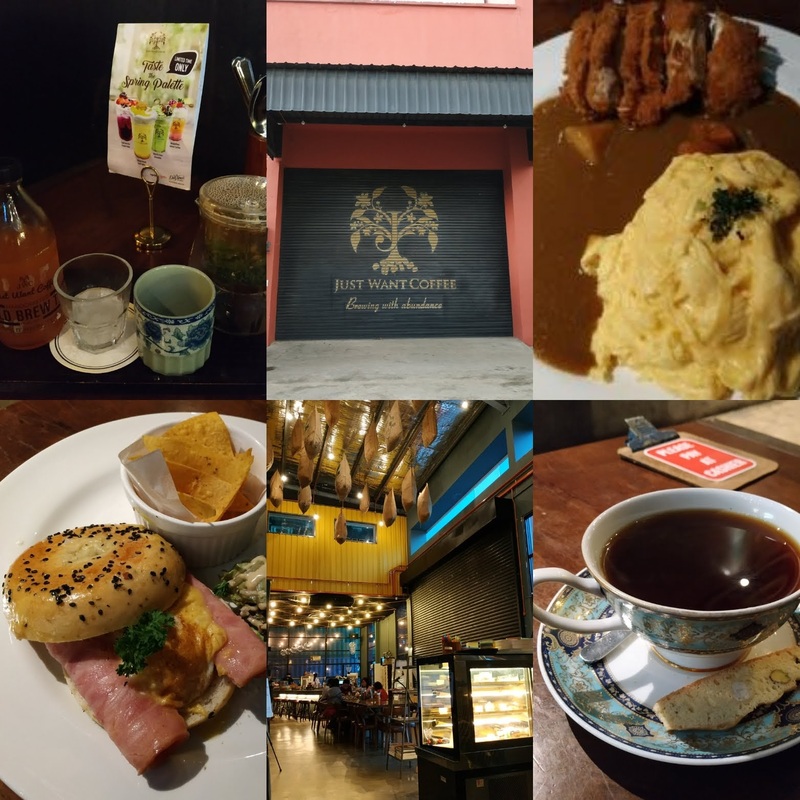 I decided to share about weekend trip to Johor Bahru (JB) as I almost visit JB every month since Aug18. I used to drag going to JB as I hated the horrendous weekend jam but this changes after I start to travel to JB by train. This page will be updated regularly. When I went to JB in early September, I took bus as this was an impromptu trip and the train tickets were sold out one month earlier. I took bus 170 from Kranji MRT and was stuck in the jam for 1hr before I reached Singapore custom. Lesson learnt: Either take bus 170X or alight at the train station bus stop and walk to the Singapore custom if taking bus 160 or 170. It took me almost 1.5hr to clear both custom, clearing Singapore custom was quite fast which took about 20min, then stuck in the causeway for 15min and another 45min to clear Malaysia custom. Returning was much smoother as we had early dinner on Sunday and reached the Malaysia custom at 7pm. It took us 45min to clear but the causeway and Singapore custom were smooth sailing. At the Malaysia custom, we saw long queue snaking at bus 160/170 yet there wasn't many people queueing for bus 950. It doesn't matter taking bus 160/170/950 as all will alight at the Singapore custom. 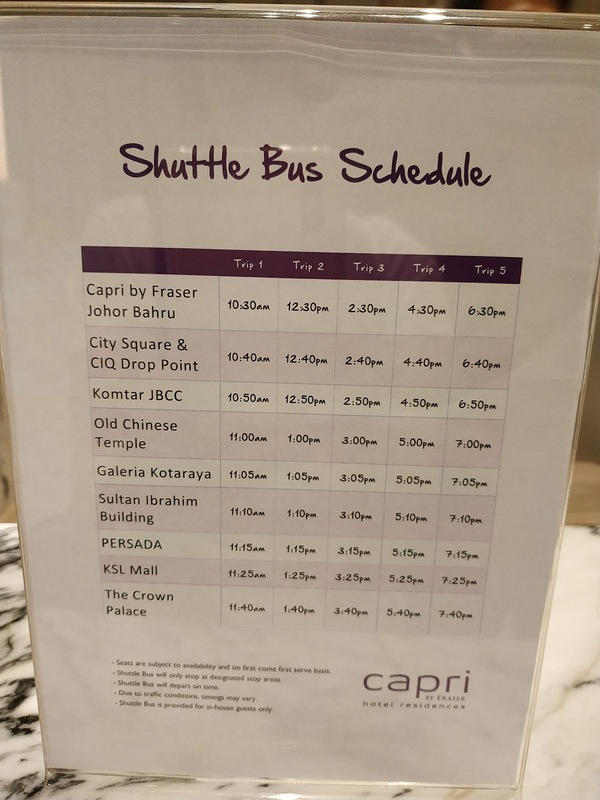 Other options include taking the yellow CW bus or AC7 bus or the private blue bus which only accept cash. Train tickets are available for booking on KTM official website exactly 30 days in advance (another method of counting the days is 1 month + 1 day e.g. Today is 12 Oct 18 (Fri) and 10 Nov 18 (Sat) train ticket is being release) and the tickets are release at 8.30am daily. I tried using Easybook and KTM but both websites were down for quite a while in early September and I could not book tickets at all. I resorted to buying tickets at JB Sentral train station when I went in by bus. My ex-colleague recommend me Easybook as there is shopback cashback for booking via this website but the tickets at easybook are not released at 8.30am exactly. As the train tickets are limited, I rather forgo the cashback and buy directly from KTM official website. Weekends tickets are extremely popular especially these timing: Saturday to JB 8.30am, 9.40am, 10.50am and Sunday from JB 7pm, 8.10pm and 9.20pm. From my observation, these tickets are usually sold out within half an hour after it is release at 8.30am. Hence the only solution to secure the ticket for these timing is to wake up early and book at 8.30am. 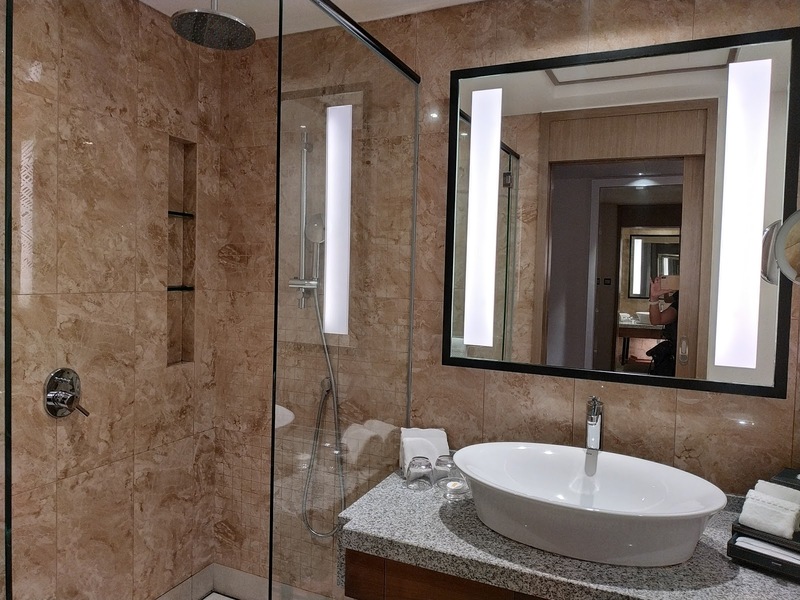 I always plan to stay at the hotel near the places which I want to explore to minimise travelling. In the event if the distance are far apart, I will take Grab and rate starts from RM5 ~ S$2 which is so cheap. Taking grab is the main reason why I purchased a Malaysia SIM card. I bought a Digi SIM card when I went to Miri. I didn't know that the SIM card can be extended with RM1 until my ex-colleague shared with me. I have heard from friends who discard their SIM card and buy a new one whenever they went to JB. Although buying a new SIM card is not very expensive but there is cheaper way to maintain the validity of the existing SIM card. Digi SIM card is quite popular in JB as it has one of better reception there. After I'm back in Singapore after my Miri trip, I download the app "MyDigi" into my phone, insert the Digi SIM card and connect using wifi to create the new account. After the account is successfully created, the mobile number, type of card (Digi Prepaid Live pr Best Prepaid), credit balance and the expiry date will be shown. As long as the SIM card is reload or extend the validity within 75 days (for Best Prepaid) or 90 days (for Digi Prepaid Live) depending on the type of SIM card, then the SIM card will not be terminated. If there is credit balance, simply click the extend validity which will deduct RM1 from the credit balance and volia, the SIM card is valid for 1 day use and the inactive period will be further extended by 75 or 90 days. Otherwise reload the SIM card and the SIM card will be extended depending on the amount top up and the inactive period will be further extended by 75 or 90 days. 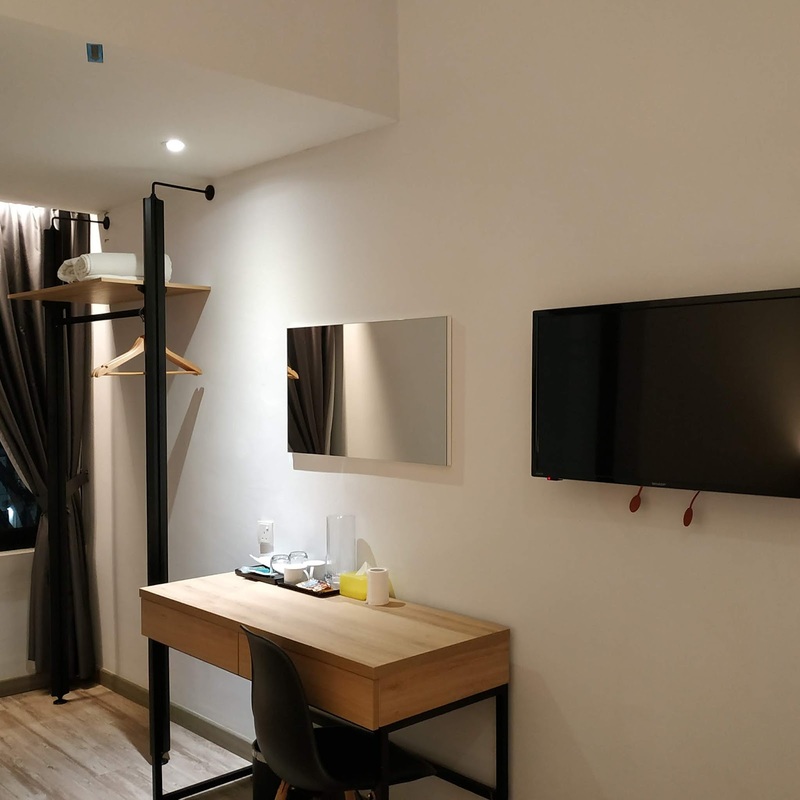 There are few reload methods, the most convenient one are online top up using credit card or buy the reload vouchers from digi store beforehand. On the day when I'm travelling to JB, I insert the Digi SIM card and open MyDigi app using wifi at home first. To top up the SIM card, key in the 16 digit top up code under "Reload -> PIN" to top up the credit balance. The credit balance can be use to buy internet, making call and sending sms. As extending the validity with RM1 only comes with 100MB internet and internet speed is much slower, I will either buy additional 300MB (RM1) or 2GB + Free 1GB (free for 1 - 7pm) (RM3). There is a 7 days plan for RM10 which comes with 1.5GB + Free 7GB (free for 1 - 7pm) which is worth if travelling to JB for at least 4 days. Occassionally, Box of Suprise from the Digi app offers 2day 1GB internet for RM1.50 or 24hours 1GB forRM1. As a thumb of rule, if my account balance has at least RM8, I'll just extend the validity for RM1 instead of reload the balance as I will use maximum RM7 for a 2 days trip (RM1 for extending validity + RM6 for 2 days internet 2GB + Free 1GB (free for 1 - 7pm). If my internet requirement is only 300MB, I will maintain at least RM4 (RM1 for extending validity + RM2 for 2 days internet of 300MB). The reload of balance and extend validity should be an either or method as both will extend the expiry date. It's a waste of RM1 to extend validity and then realising insufficient fund to buy internet which requires reloading of balance. Hence calculate how much is required before deciding whether to extend validity for RM1 or reload the balance. I prefer topping up in Singapore and avoid topping up at the digi store so that I can start using the SIM card once I reach Malaysia custom. 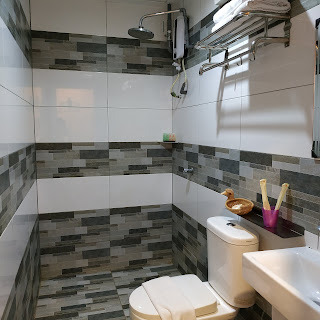 I found these 2 post in HWZ very useful: Post 4014 & Post 6757. On top of the cheap maintenance of a Malaysia mobile line, there are perks from the Digi app rewards section. I have only redeem RM8.99 MBO movie ticket before but there are other deals such as RM11.99 GSC movie ticket, Laser Battle 2 games for 1 price, RM1.99 Rotiboy signature bun, RM9.99 Pizza Hut personal meal, RM9.99 Starbucks Frappuccino Blended Beverage etc. 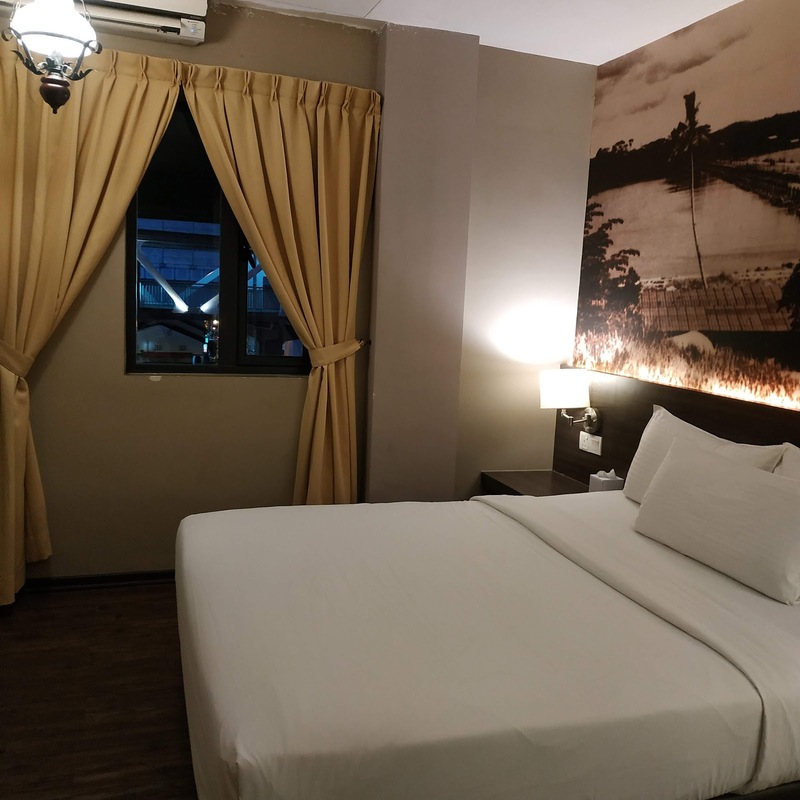 Belllo Hotel is located just opposite JB Sentral and within walking distance from City Square and the old town where many cafes are located. It is a no frill hotel which is good for a night stay. 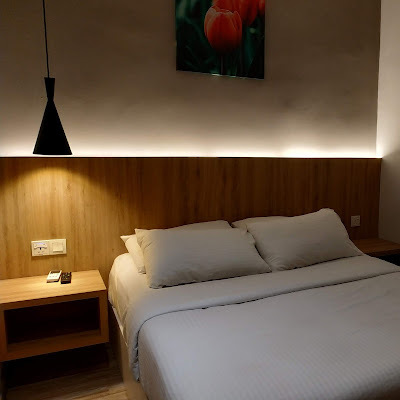 I booked through Agoda as the rate is cheaper than booking direct from the hotel website. I paid S$59 for a deluxe room and was upgrade to the premier room as the deluxe room was not available when I checked in early at 11am. 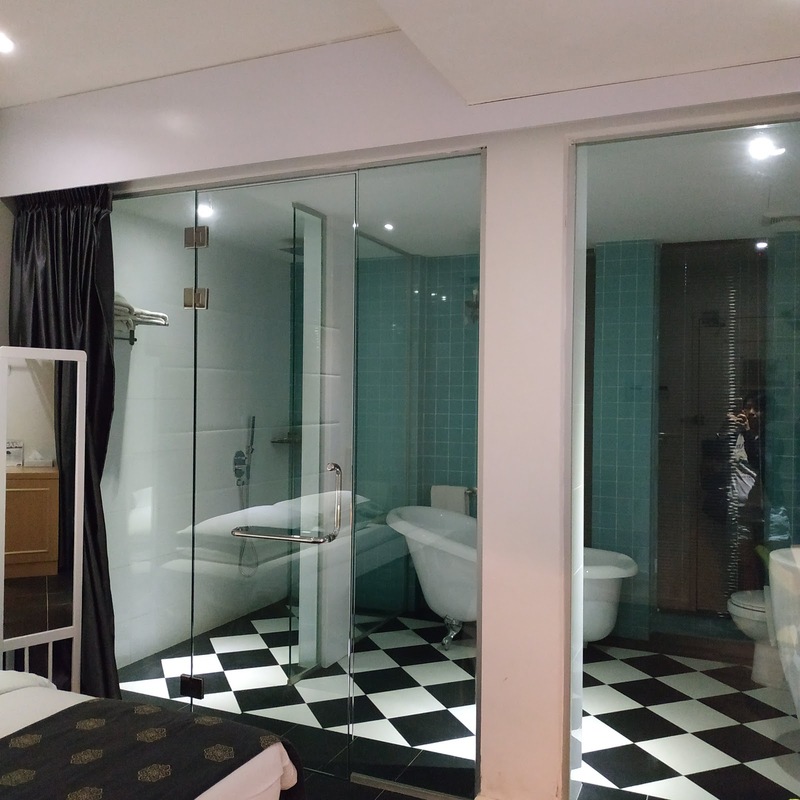 The premier room don't seem to be much larger than the deluxe room. The Grand Jade Hotel is located near the JB custom facing the R&F mall. 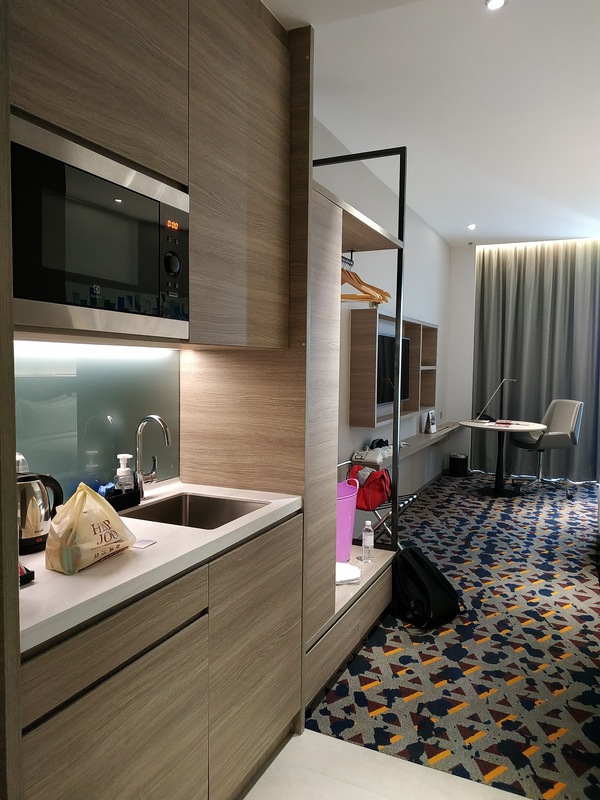 I choose to stay here because my ex-colleague wanted to try out Insta Hotel but reviews were not very good. 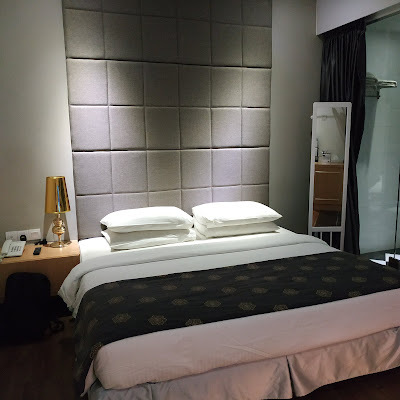 I booked the deluxe queen room without breakfast through Agoda for S$42 a night. 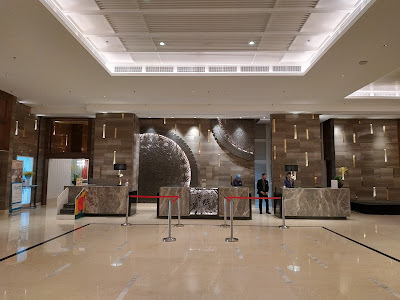 We left our bags as we reached in the morning and when we wanted to collect our bags upon check in, the receptionist seems to have difficulty understanding as he thought that we wanted to leave our bag at the hotel the next morning after checked out. It's the same receptionist and he don't even remembered us when we left our bag in the morning. 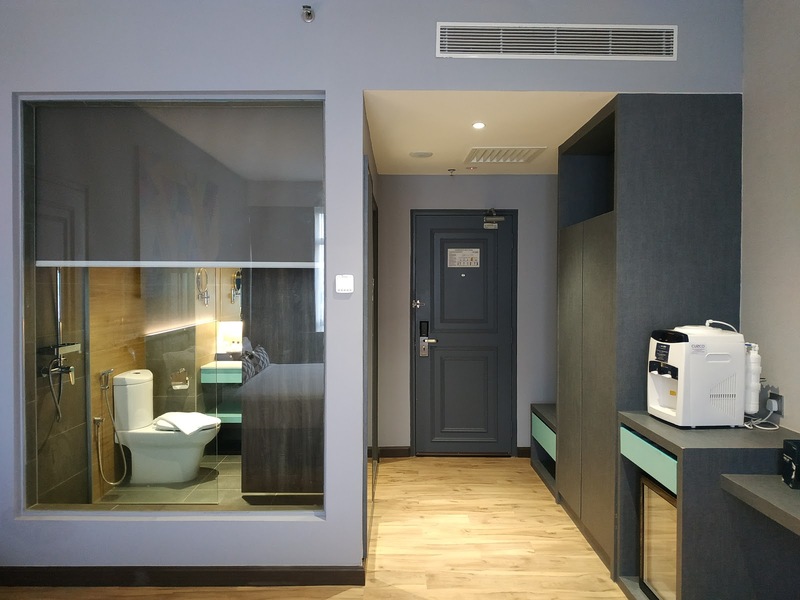 Moreover our room is facing the lift and the sound proofing is poor, we can hear guest talking at the lift area and noise from the street. This was an impromptu trip with my primary school friend. 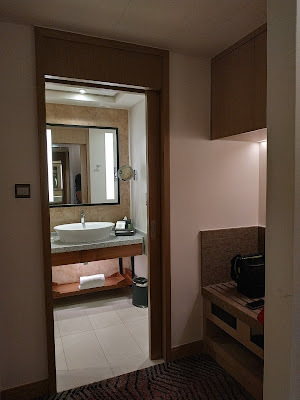 I gave her a choice of either Amari or Doubletree Hilton but she's fine with both so I chose to stay at Amari. 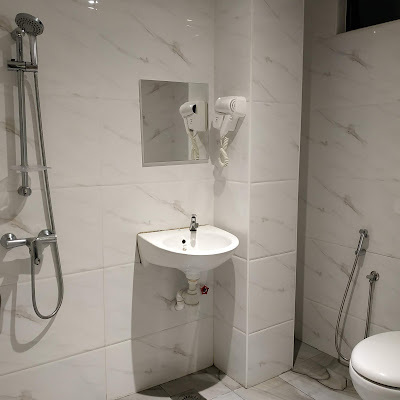 My ex-colleague stayed in both hotels before as she commented that Amari is newer and the location is more accessible. 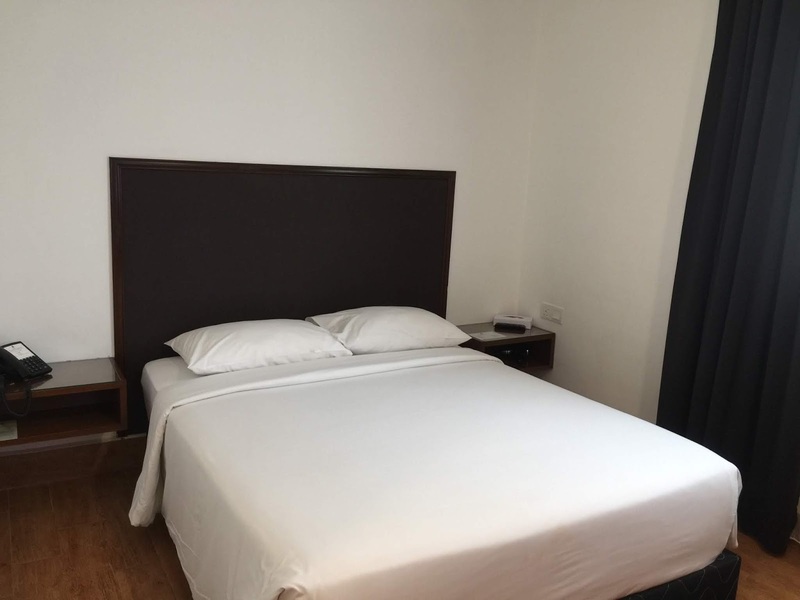 I booked through agoda as the rate is same on both Amari website and agoda. 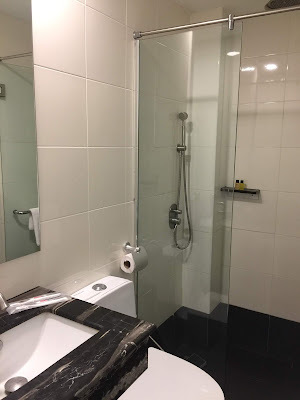 A room without breakfast is S$88 while a room including breakfast is almost S$50 more. The difference is huge as we can eat at least 2 meals in the nearby cafe with S$50. The location is excellent as it's walkable from CIQ and is across the street from Komtar. The room is spacious and clean but I find the bed too soft for me. I have indicated in the remarks that it's my friend birthday and the hotel has prepared a cake for her. My ex-colleague told me she had afternoon tea at Amari Amaya Cafe and it was not bad. I saw the brochure and price is reasonable at RM68 for 2 pax. We went JB within a span of 2 weeks and the opening special promotion for Capri by Fraser Johor Bahru was available so I booked within any hesitation. 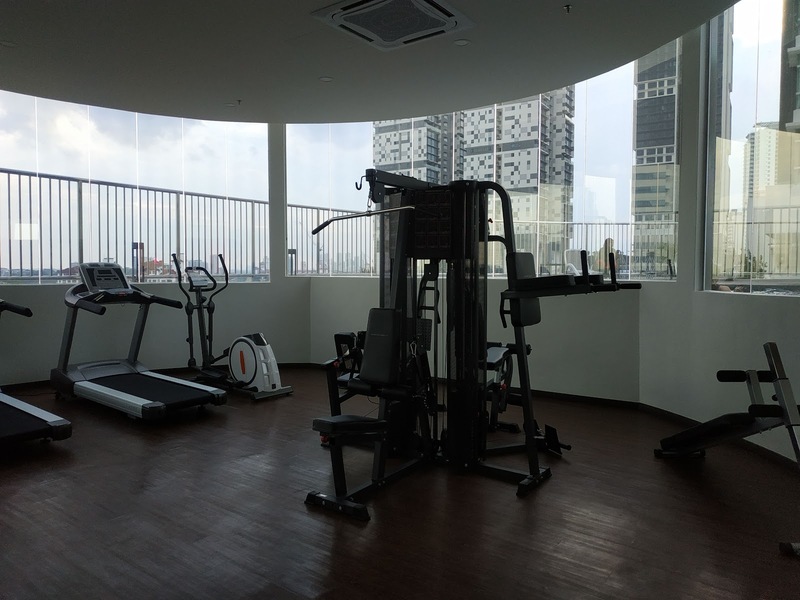 The cheapest rate is RM284 ~S$94 for a studio deluxe king room and includes breakfast. 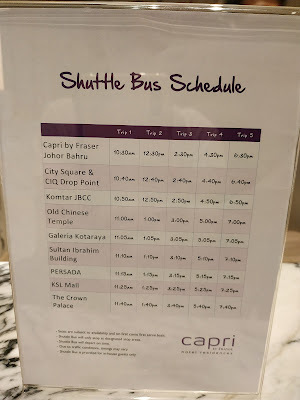 I emailed the hotel for the exact shuttle bus pick up location as I read online that there is shuttle bus available from Checkpoint to the hotel. The pick up point is at the JB Sentral taxi stand along Jalan Tun Abdul Razak. We did not took the shuttle bus as we went to other places before check in. 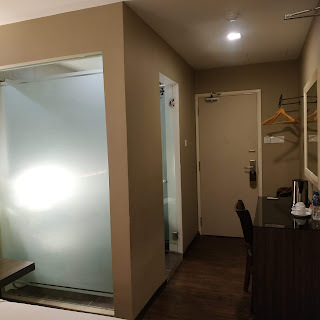 Although the google map shows that the hotel is 5min walk from the checkpoint, I would not recommend walking under the hot sun as there is no pavement and sheltered walkway to the hotel. However, we have to walk to the hotel from CIQ on Sunday evening to collect our bags as the road is jammed with cars heading towards CIQ. This is a sore point for the hotel as there are no other roads leading to the hotel. I have wrote in to the hotel that it's our anniversary as I read online that some hotels may offer to upgrade the rooms. 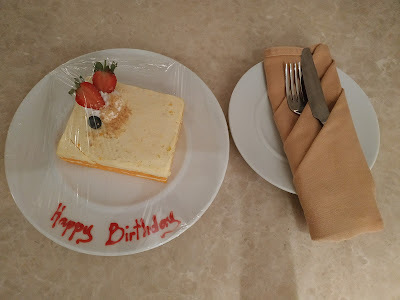 However the hotel replied me that they can only provide complimentary slide cake, fruit basket and swan deco in the room. 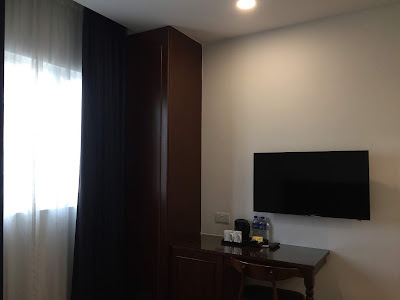 On the day when we check in, our room was not ready whereas our friend room was ready at 2pm and when we finally check in, there was no preparation inside the room. I have to call the room service and inform them about it. The room is spacious, bed is very comfortable, duvet is very thick and rain shower is fantastic. The breakfast spread has limited choice and WB commented that Trove Hotel breakfast spread is much better. 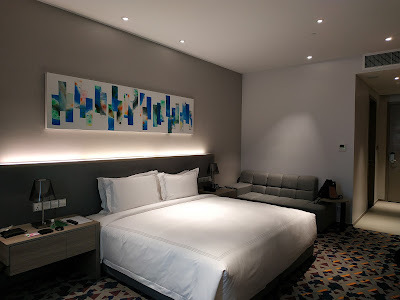 I choose to stay at The Marion Hotel which is 5min drive to KSL as it's cheap, a premier room cost RM130 ~ S$43 per night. It's located within walking distance from Seven Oaks and Lavender bakery. 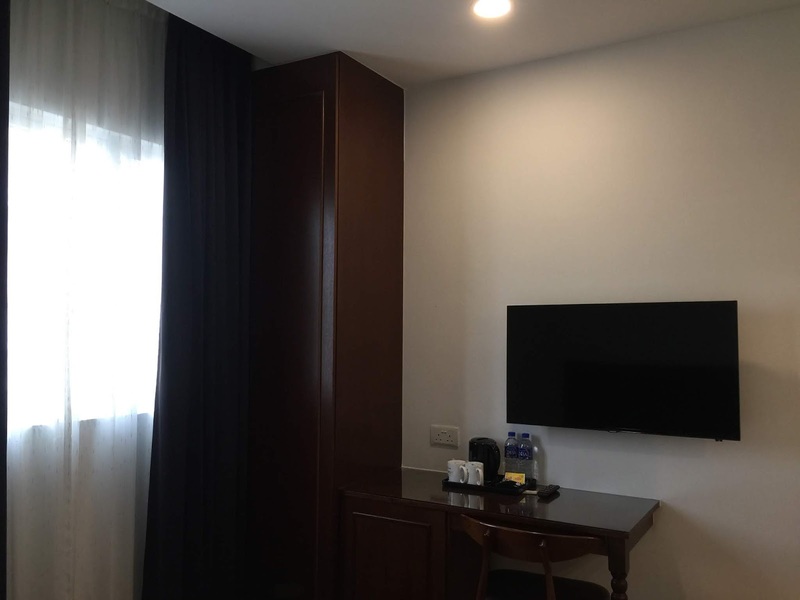 I booked directly through the website as the rate is the same as agoda and payment is upon check in. 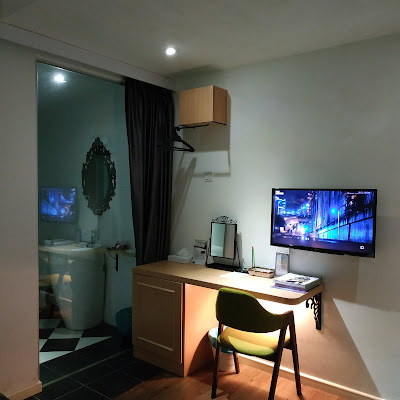 The downside is that the premier room which we booked is facing the main street and it's slightly disturbing with the cars passing by in the middle of the night. 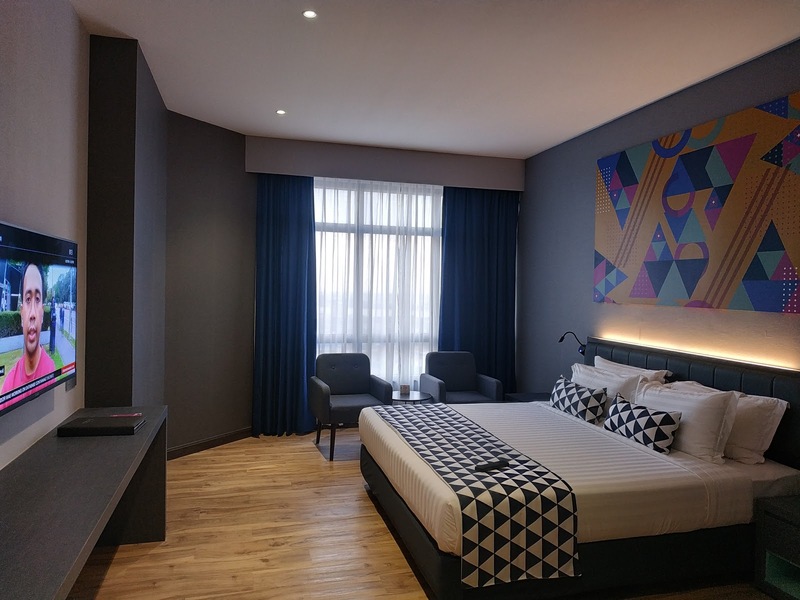 Trove is a new hotel which opened its door in Oct 2018. The deluxe king room rate including breakfast listed on their website is RM280 ~ S$93 but agoda is much cheaper at S$68. I paid S$50 after using agoda discount and agodacash, which is really a steal. We couldn't check into the hotel when we reached at 10am as they only allows check in from 3pm onwards. 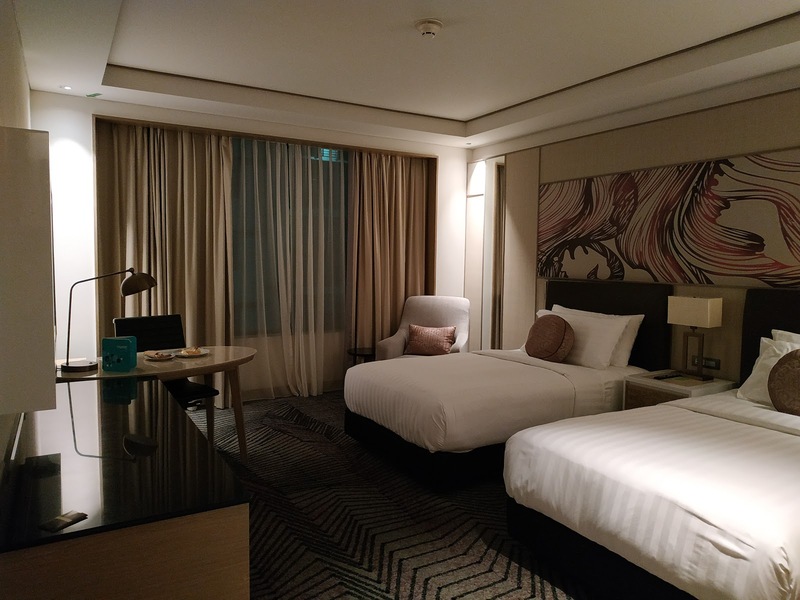 There are 27th floors in the hotel and we were given a deluxe room on the 25th floor, this gives us quite a good view of the surrounding. 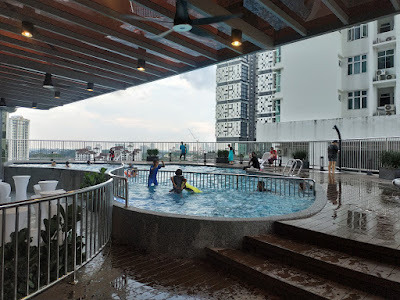 The swimming pool here is relatively small and crowded. Breakfast is available at Level 8 Lada & Clove from 6.30am - 10.30am and the spread is not bad. I saw on the in-room booklet that English Afternoon Tea is available at Trove Hotel at RM68 for 2 pax from 12pm - 4pm every Saturday, shall find a day to try out the afternoon tea. 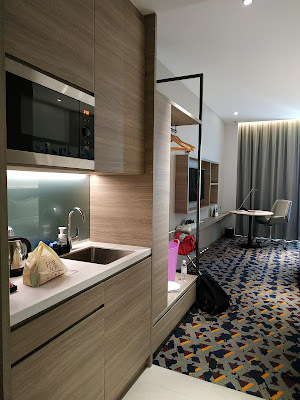 I was contemplating between The Ardens Hotel and JS hotel which is directly opposite Aeon Tebrau city. 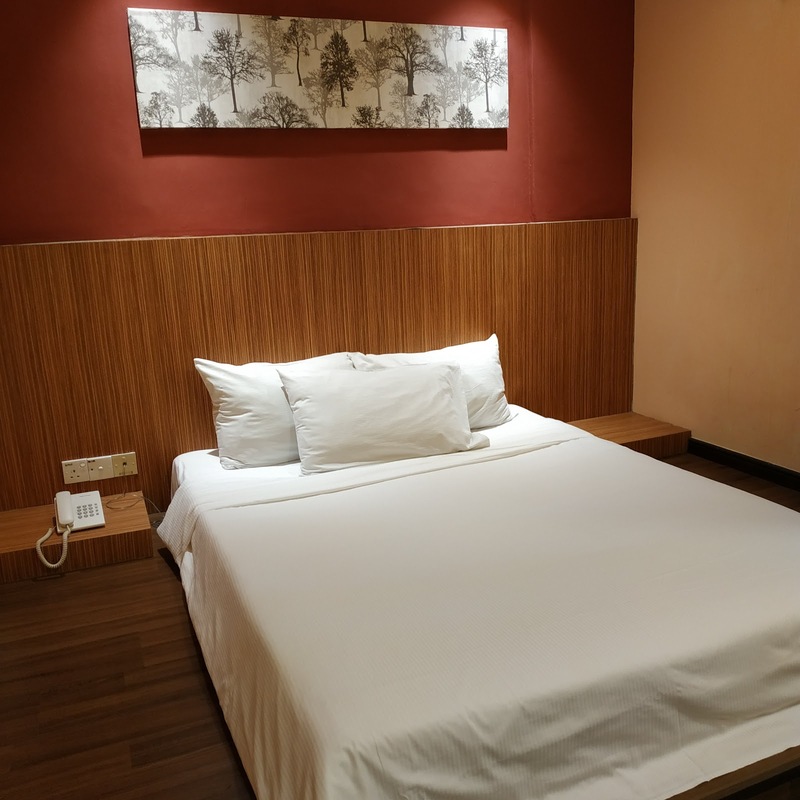 I choose to stay at The Ardens Hotel which cost S$134 for 2 nights as it generates many positive reviews from tripadvisor and their lux room wowed me. 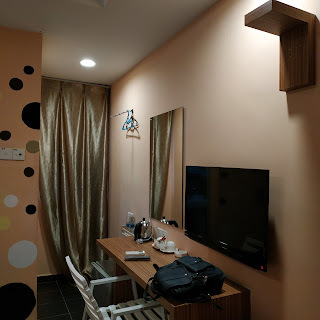 I booked the room without breakfast since it's so accessible getting around with Grab. I have shortlisted few hotels at Mount Austin and I thought of staying at Midori Concept Hotel. My sis has chosen JS Hotel because it's cheap. 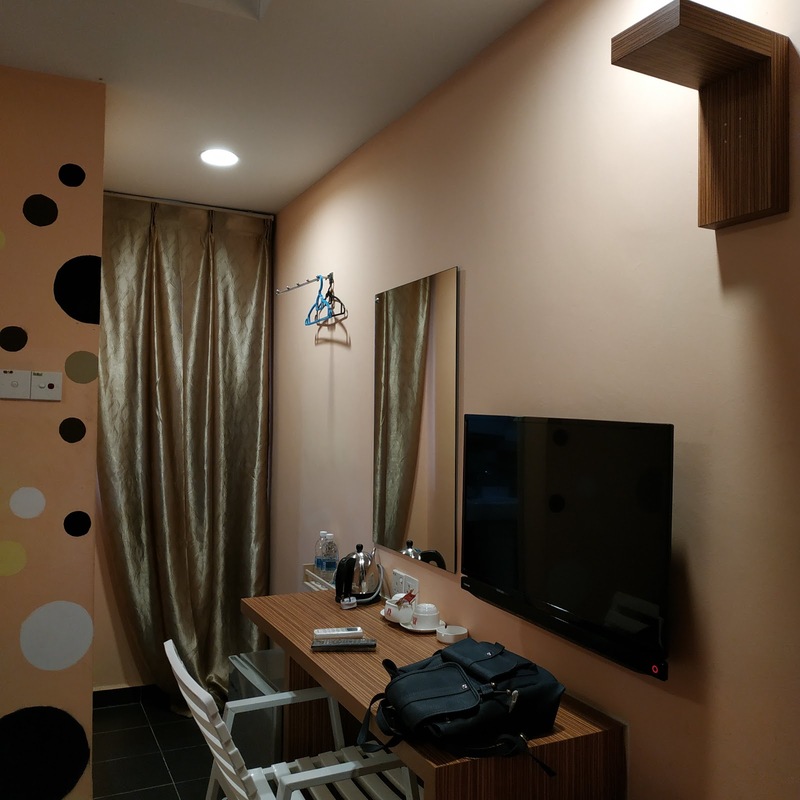 I booked the superior queen room without breakfast for one night which cost RM112 ~ S$37. JS Hotel is a 5min walk from AEON Tebrau but I wouldn't encourage walking at night as it's fairly deserted. As there are many blogs on JB food, I'll only list down those that I personally consider worth recommending. Super value for money as it only cost RM78 ~ S$25 for 2 pax! 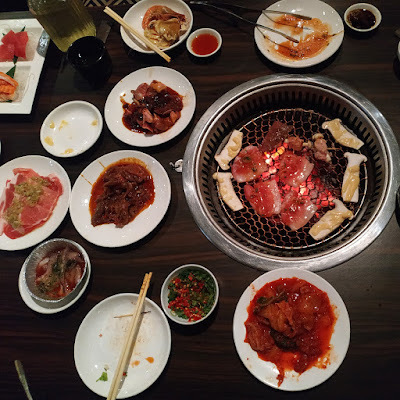 We ordered Set A which comes with 10 banchan, Dwaeji Galbi (grilled pork spare ribs), Samgyeopsal (pork belly), Gyeran Jjim (Korean steamed egg) and Kimchi-jjigae (kimchi stew). 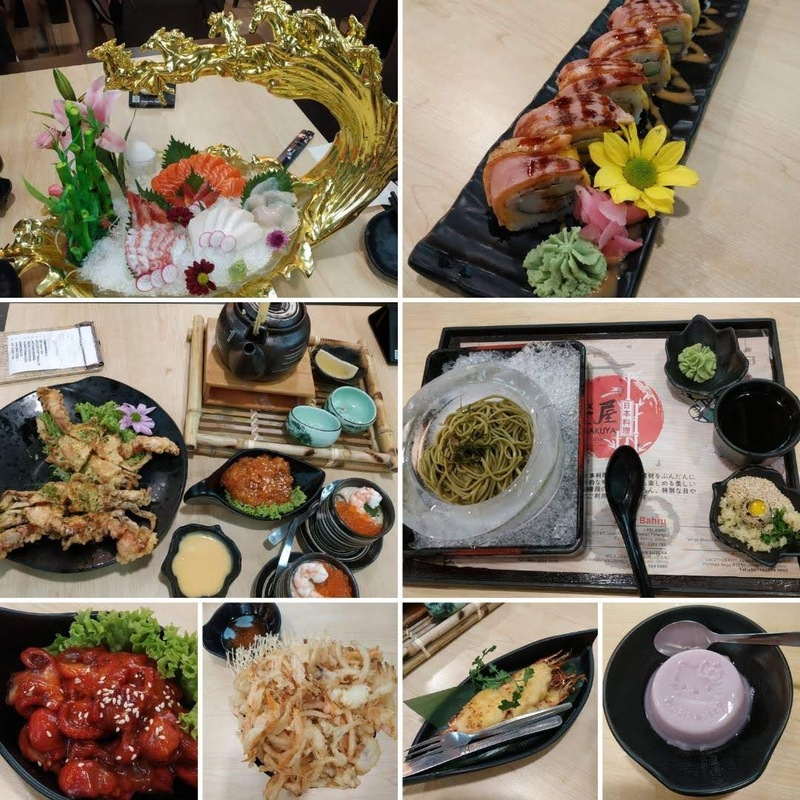 -Warakuya Japanese Garden (3 outlets in JB: Taman Pelangi, Sutera Utama & Austin Heights). Good quality and nicely plated japanese food at very affordable price, my friend reckon that this is Malaysia Sushi Tei. There's free drinks and fruits available while queueing which reminds me of Hai Di Lao. We ordered 9 dishes (Tempura zaru, Salmon belly sashimi, Dobin mushi, Geki kara ramen, Ebi Mentai Maki, Green tea crepe, Hamaguri sakamushi, Ikura Chawamushi, Salmon Mentai Nigiri) which only cost RM220 ~ S$73 for 4 pax. All the dishes we ordered are equally good. I went to the Mount Austin outlet with my sis and food was equally good. 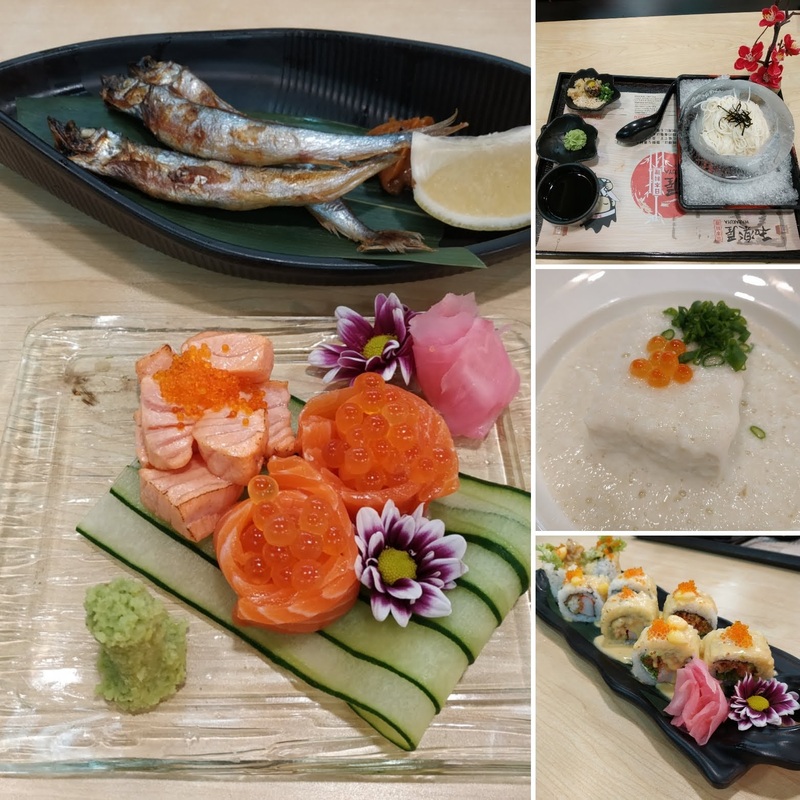 New items which I tried includes the mango sushi which was out of stock at the Pelangi outlet, Special Kanpachi is good but the Hotate Uni Yaki which is slightly sweet. I had Warakuya for the 3rd time and every dish is so so so good. It's my fourth visit to Warakuya within 3 months. As voucher is given with a certain amount of spending, I always end up returning to Warakuya. Anyway I will not be returning to Warakuya soon as the voucher has to be utilised within a month and I doubt I will be visiting JB in the next few months. 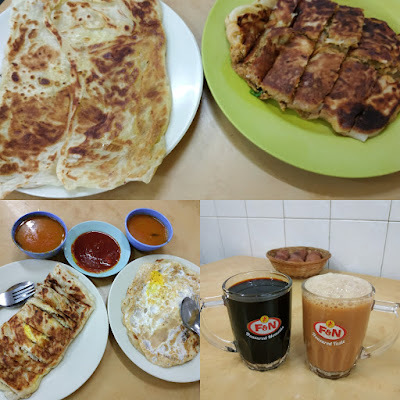 -Restoran Selera Selatan (Add: 34, Jalan Ros Merah 2/13, Johor Jaya, 81100 Johor Bahru, Johor, Malaysia, Opening hours: Mon - Sat 7am - 10am, sometimes sold out by 9am on weekend). It is reputed to be one of the best in JB and it didn't disappoint us when we woke up early in order not to miss it. We ordered roti kosong, roti plaster, roti telur + bawang and roti sardine. All are equally good. We ordered Guinness Stout & mixed berries cheese ice cream with Chocolate Lava cookie. It's unique to pair ice cream with cookie as waffle is the more common one. 2 scoop + cookie only cost RM25 ~ $8, where to find this price in SG? 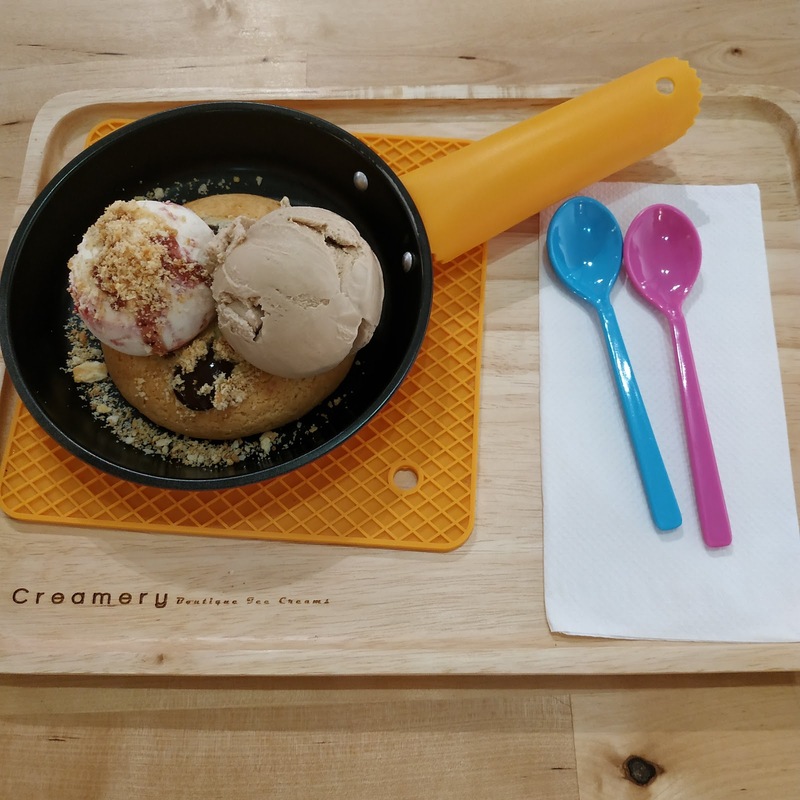 We went back to Creamery the 2nd time and ordered Earl Grey and mixed berries cheese ice cream with salted egg yolk lava cookie. We wanted to ordered Guinness Stout ice cream again but it's not available. WB still prefer the chocolate lava cookie. 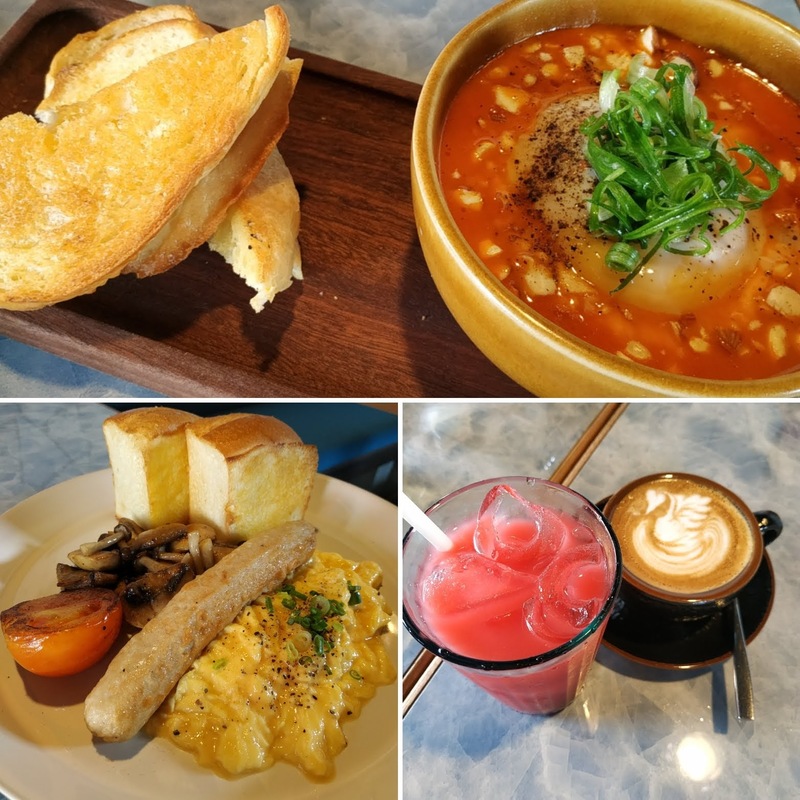 Hearty breakfast at a quiet minimalist cafe. 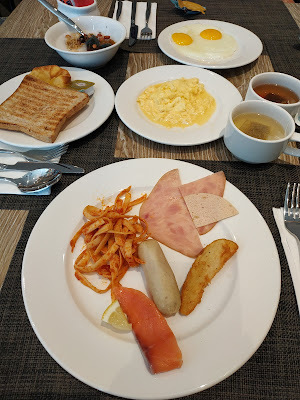 Ordered ½ breakfast platter and french toast. 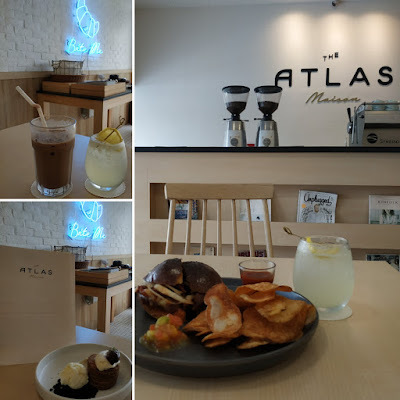 I visited again with my sis and we shared the pulled pork burger and tiramisu. The burger is delicious and the tiramisu is quite special, I thought it was brownie when it was served. 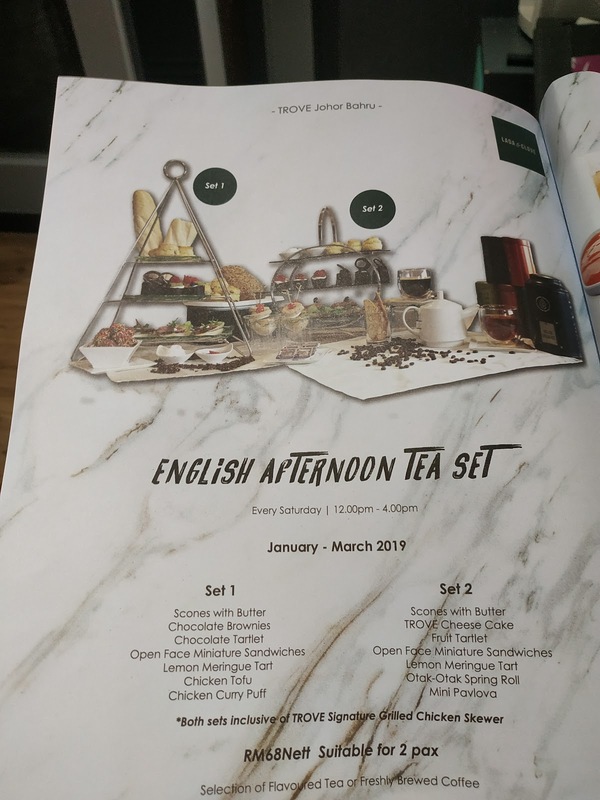 -Just Want Coffee, The Factory 30 (Add: 30, Jalan Mutiara Emas 5/3, Taman Mount Austin, 81100 Johor Bahru, Johor, Malaysia, Opening hours: 12pm - 12am). It's a refurbished factory located inside the industrial park and it didn't take long to Grab from here. Nice ambience, good coffee and tea, highly recommend their bagels. -JWC Homies (Add: Aeon Tebrau, Opening hours: Opening hours: 12pm - 12am). Ideal place to take a break after shopping at Aeon Tebrau. 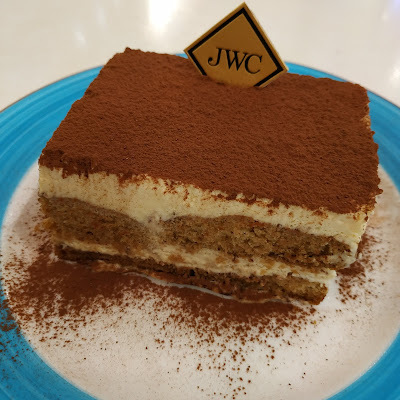 The Tiramisu here is frozen so the waiter advised us to wait for 8 min if we prefer a softer version. 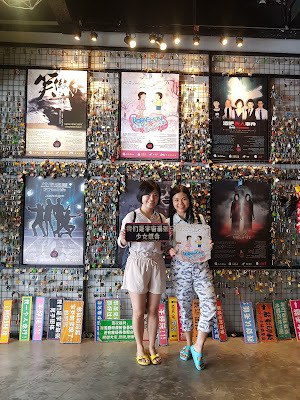 I visited the 2nd time with my sis. We had salmon bagel and tiramisu, both are equally good. 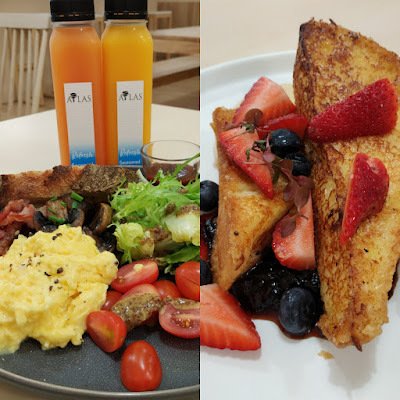 Their fruit tea is one of the best I have drank before, the other one is at the cafe opposite the JTB travel agency in Takashimaya. 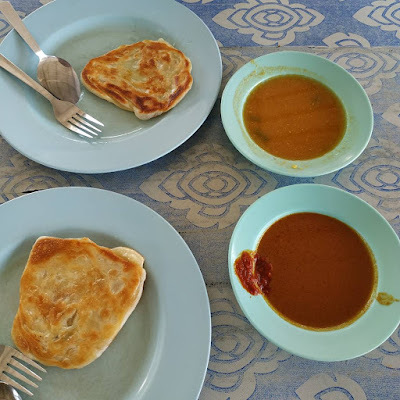 -Bukit Changar Roti Canai (Add: 394, Jalan Tengku Azizah, Bukit Chagar, 80300 Johor Bahru, Johor, Malaysia, Opening hours: 6am - 10am). It's located within 5 min drive from JB custom and cost us RM5 for the grab ride. We decided to have a quick breakfast here as the cafe we intend to visit is not open yet. It's self service here whereby queue to order and then collect your prata. 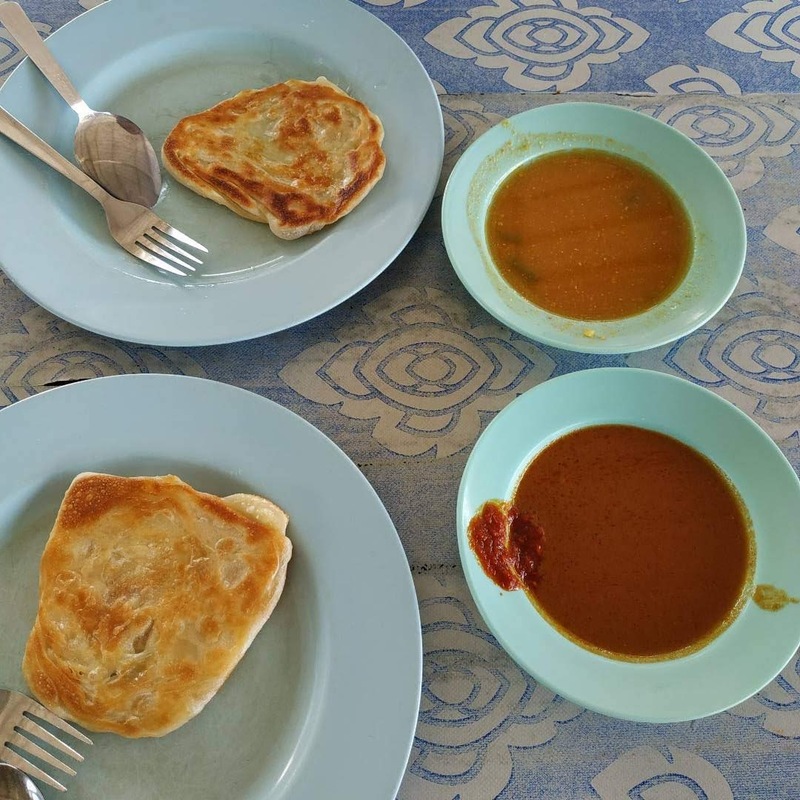 A kosong prata cost only RM1 which is freaking cheap but the portion is small so may not be filling if you are hungry. 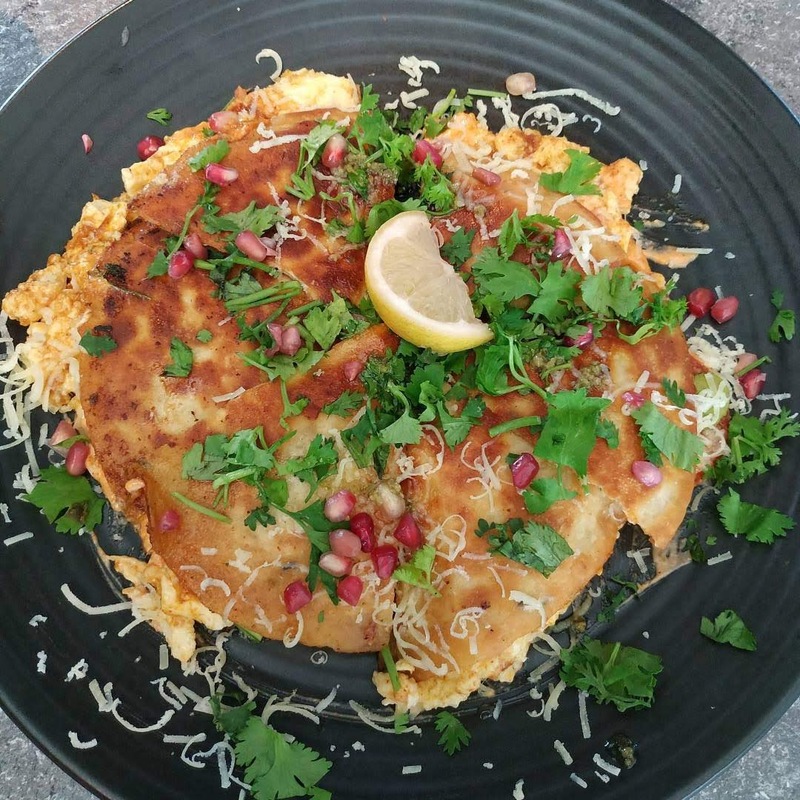 As we were not very hungry after having a prata each at Bukit Changar, we ordered a Quesadilla Brekkie for sharing. The presentation of the food is so tempting and taste good, albeit spicy for me. 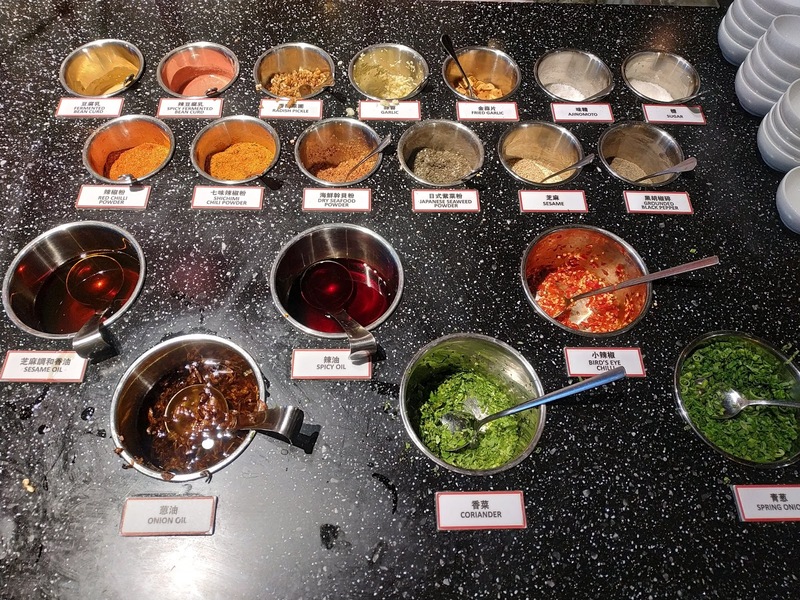 The steamboat here is A-la carte and they also sell yakitori, the quality is comparable to Beauty Pot. 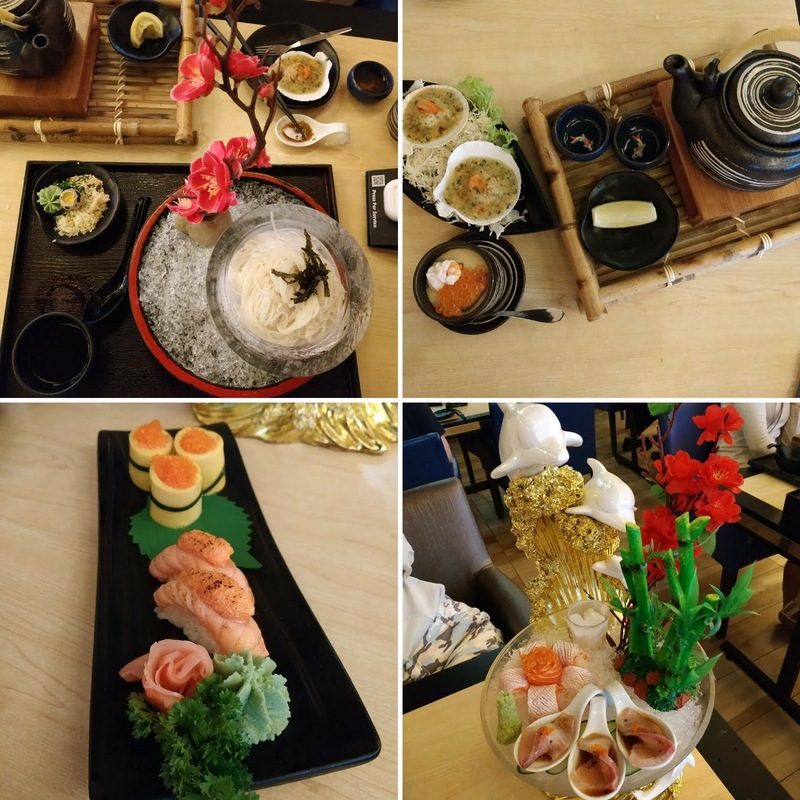 We ate till we drop as it only cost us RM330 ~ S$110 for 4 pax. We had the signature chicken soup and japanese miso kimchi soup. There are some hits and missed in the items we ordered. I will recommend the Liberico pork collar, fortune bag, prawn paste, seafood paste noodle, grilled squid. I find the cheese pork ball average as it's not those Bobo cheese balls where the cheese will spill out once you bite on it. I dislike the premium Australia beef as the beef smell is too strong for me but WB like it, so it depends on personal preference. 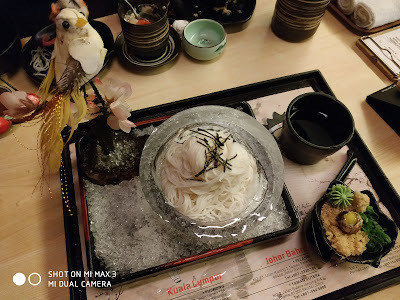 We had complimentary mushroom platters and la mian as there is lucky draw for spending above RM200. I came to know this place after reading Johorkaki blog. 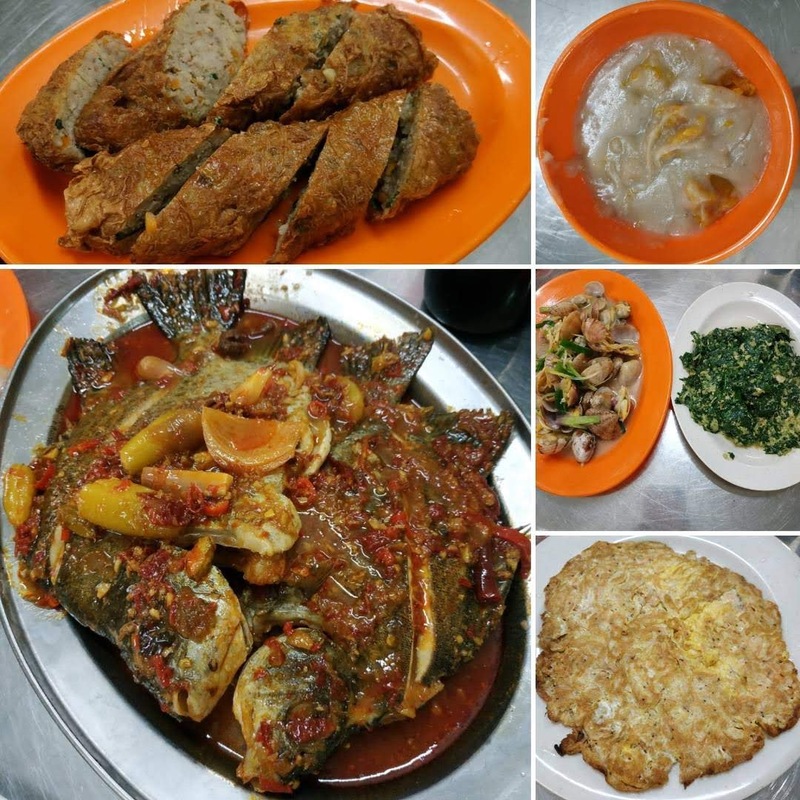 We had Asam pedas fish, la la clams, fried eggs with krill, fried sayur manis, ngor hiang and orh nee for RM108 ~ S$36 for 4 pax which is very reasonable. I read several positive reviews online and wanted to try it out. One dayrean even commented that Tanba is the JB Gyu Kaku equivalent. 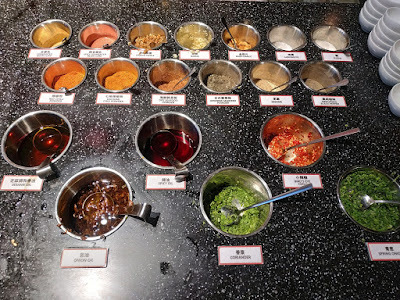 We had the dinner buffet at RM98 ~ S$32 and sauces from the sauce bar are chargeable at RM3 per head. 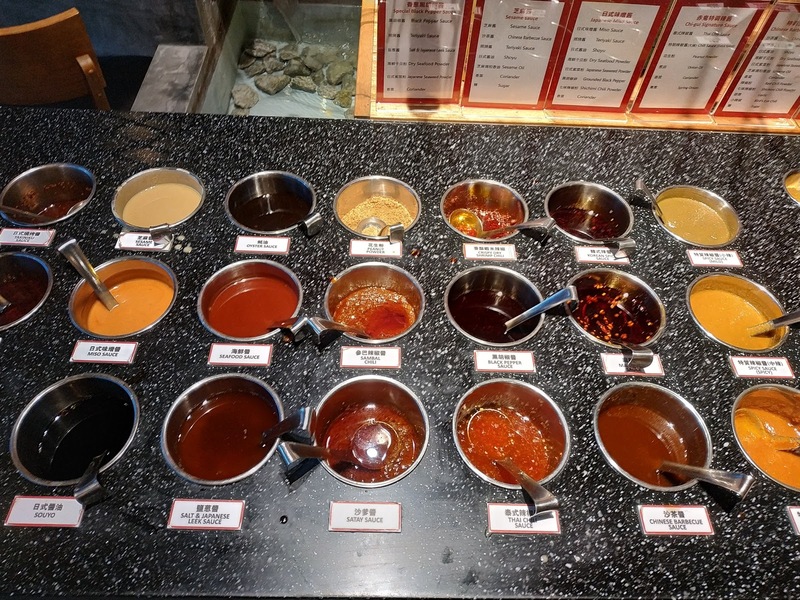 It's funny that when the waiter asked us if we wanted the sauce bar, he hinted to us that if one person is charged for the sauce bar, we can take as many as we wanted. Usually restaurant would charge everyone from the same table because of such loophole. 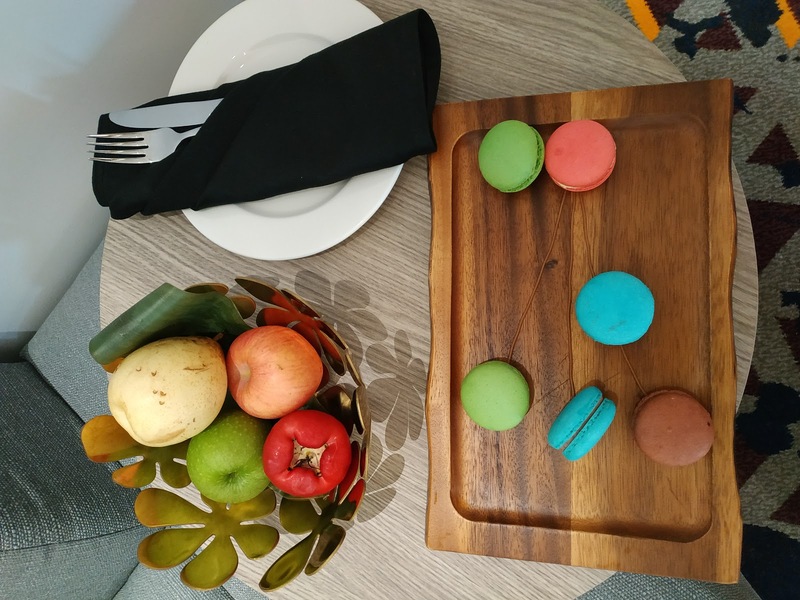 We ordered the food from the tablet and buffet food are those item which are priced at zero, the rest which indicates the price are chargeable. I like their premium beef, ostrich meat and scallop. One thing which I dont like about their vegetable is that most are drizzle with a kind of sauce. I also find it tiring to continuous BBQ your ownself for 2.5hr as it's DIY here. 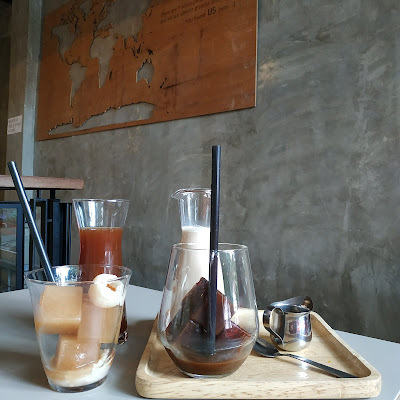 -Faculty of Caffeine (Add: 106, Jalan Trus, Bandar Johor Bahru, 80000 Johor Bahru, Opening hours: 9am - 6pm) The cafe is within walking distance from Amari Hotel. 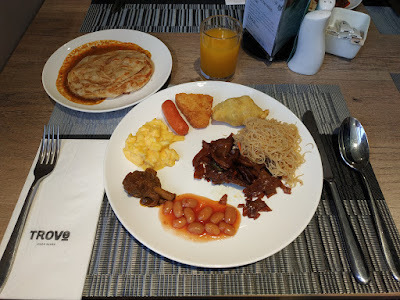 We ordered the breakfast platter, FOC baked beans and 2 drinks. Some cafes which I been to has hit and miss about the breakfast platter but I can't fault anything on Faculty of Caffeine breakfast platter. My friend who don't like baked beans even praised their baked bean. 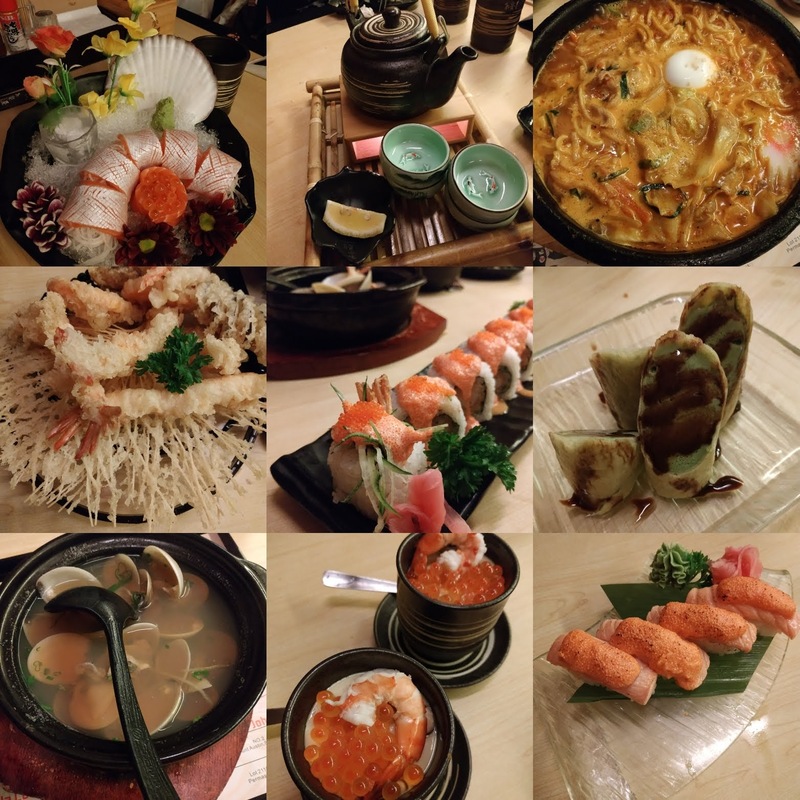 I utilised the HSBC entertainer 1 for 1 on the main course hence this meal cost us RM58 ~ S$19. 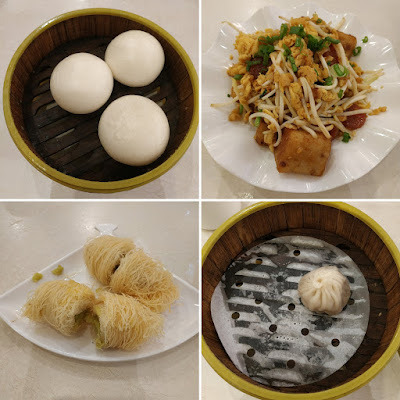 -D' Shanghai (Add: L2-132 KSL City Mall, Opening hours: 10am - 10pm) We had late lunch so we ordered 4 dishes: Liu Sha bao, XO carrot cake, Fried avocado roll and Signature Xiao long bao. The food is not bad for the price we paid, will return again to try the other items. This meal cost us RM48 ~ S$16 including a pot of tea. -Mok Mok Brunch & Bistro (Add: 78, Jalan Pingai, Taman Pelangi, 80400 Johor Bahru, Opening hours: 11.30am - 11.30pm) The cafe interior is decorated with plant and is quite cosy. 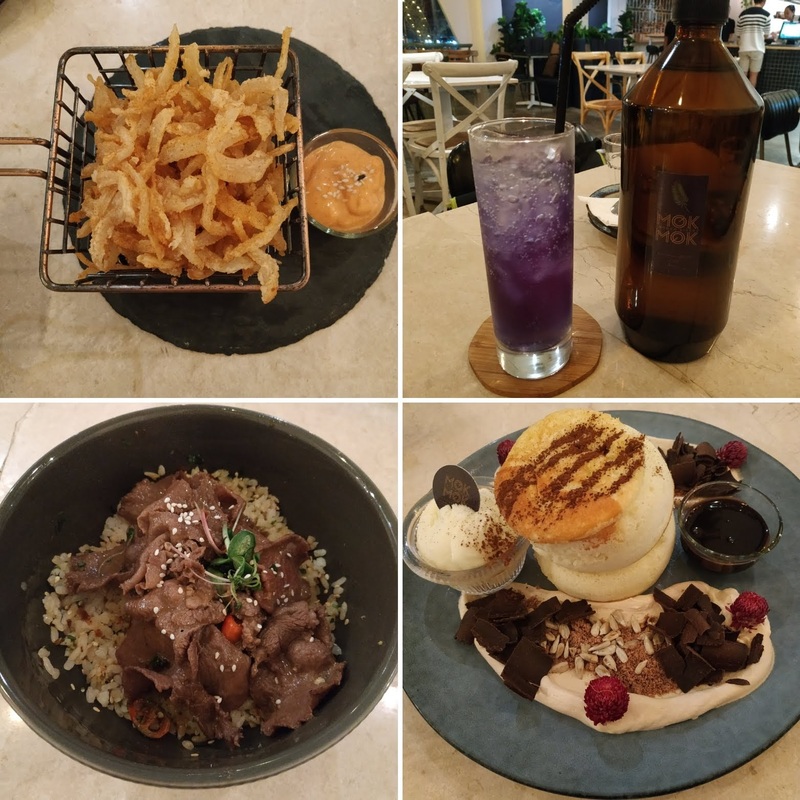 We had Gyutan bowl, Onion chips, Tiramisu Souffle and Galactic Dream Nitrogen Brew Tea. 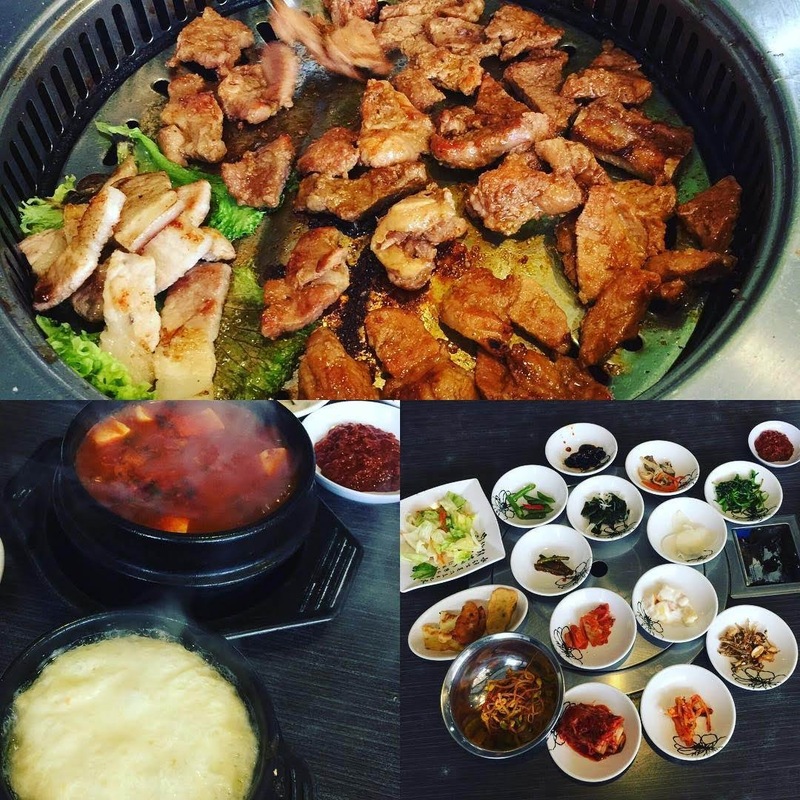 Gyutan is actually beef tongue which explains why the meat is tougher, the rice bowl is delicious and flavourful. 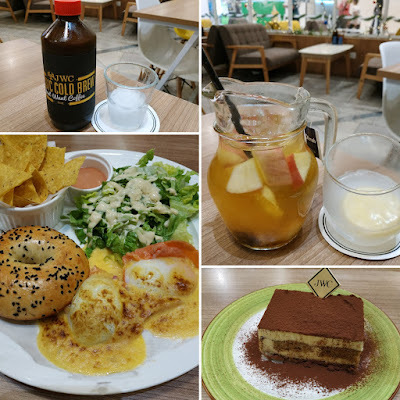 The onion chips are addictive and the tiramisu souffle is fluffy and bouncy. Ground floor is boutique shop and cafe is on the 2nd floor. 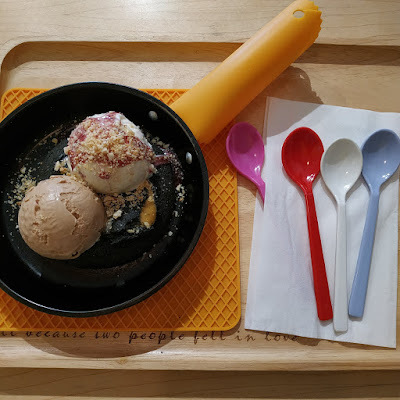 We ordered Chai Espresso Ice cube, Lychee tea ice cube and Chocolate mint pie. The drink concept is interesting as the coffee is frozen into ice cube and the chai milk is pour based on your preference. 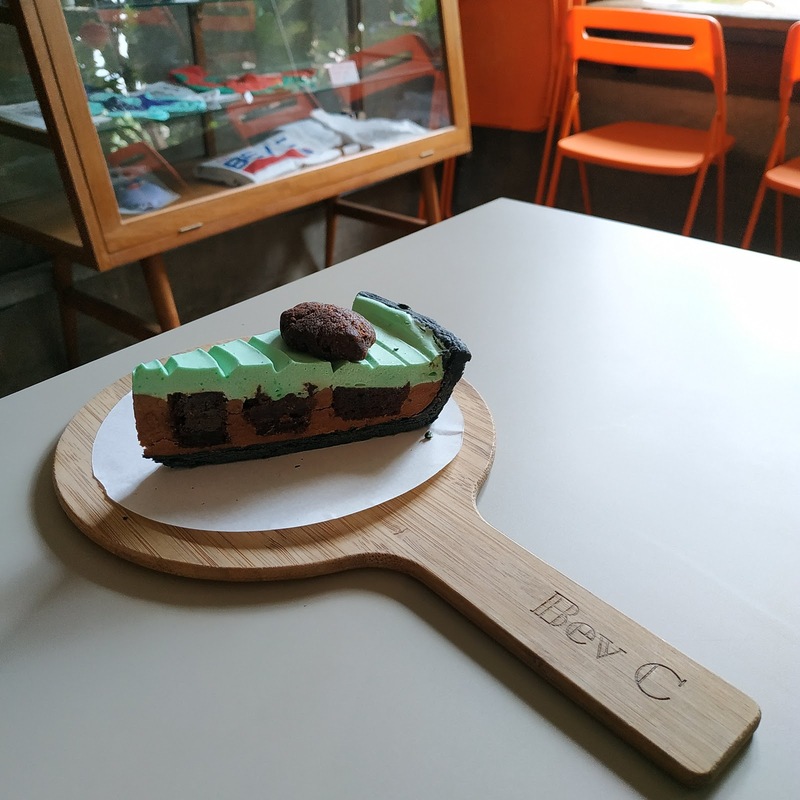 I usually find mint food being overpowered by the mint taste but this chocolate mint pie finds the balance between chocolate and mint. 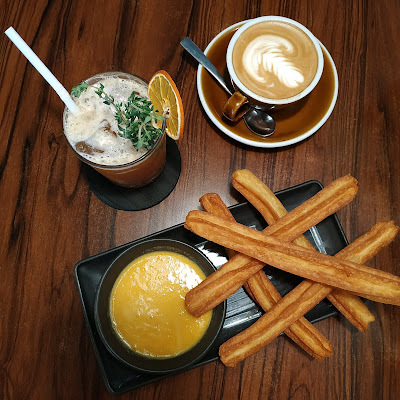 -The Replacement - Lodge & Kitchen (Add: 33, Jalan Dhoby, Bandar Johor Bahru, 80000 Johor Bahru, Opening hours: Mon - Thu: 10am - 6pm, Fri - Sun: 9am - 10pm) The churros with salted egg dip is tasty but the crab meat mentaiko aglio olio is spicy for me. Entertainer app 1 for 1 deal is accepted here but as we ordered only 1 main dish, we couldn't utilised it. My ex-colleague suggested San Low Seafood as she has been here many times. It's a zhi char restaurant located within residential area. We ordered 7 dishes and drinks which cost us RM220 ~ S$73. 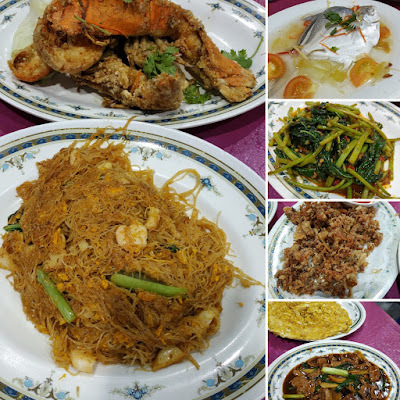 We had their signature San Low beehoon, 3 cereal cray fish, steamed Teochew style pomfret fish, sambal sweet potatoes leaves, fried baby squid, cai pu egg and wild boar meat. 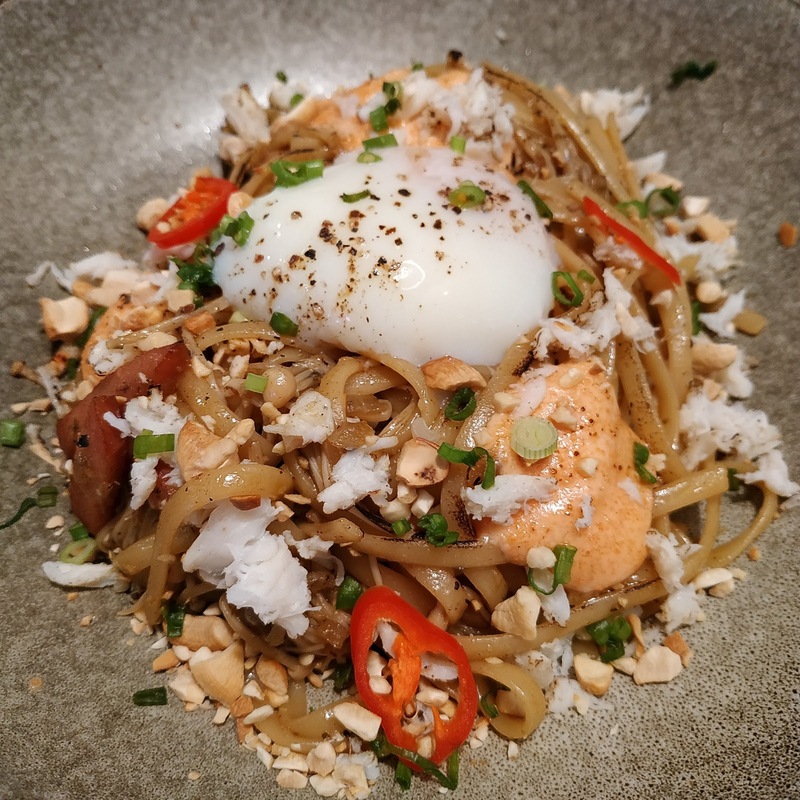 The San Low beehoon is over rated as I had tastier chao da beehoon elsewhere. 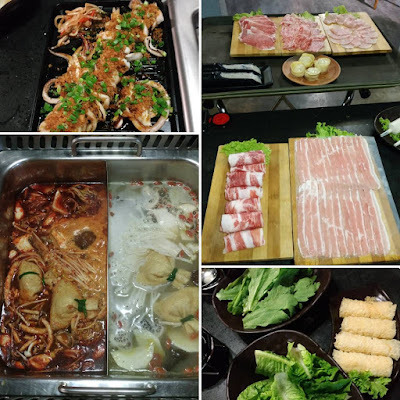 I will recommend steamed pomfret fish, fried baby squid and wild boar meat. We went for 2nd round dinner and had BBQ chicken wings, pork satay, chicken satay, fried kway teow, grilled stingray, sambal lady fingers and ching teng. 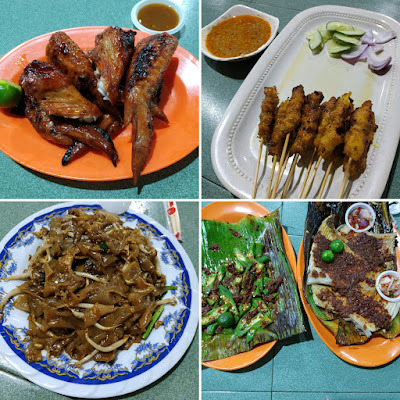 We prefer pork satay to chicken satay. We ordered from Tampoi Satay 淡杯沙爹 which cost RM1 per stick. There is only one stall selling BBQ chicken wing for RM2.20 per wing. The chicken wings were sold out quite early before 8.30pm and we saw many customers being turned away. There is also only one stall selling BBQ stingray and we were told to wait for about an hour. We ordered for 4 pax and it cost us RM31 for the stingray and RM6 for the lady fingers. I saw they also sell Crayfish, BBQ squid, Petai etc. We intend to return again for the other dishes. Luckily we came earlier at 5.30pm as the dinner crowd started around 6.30pm. 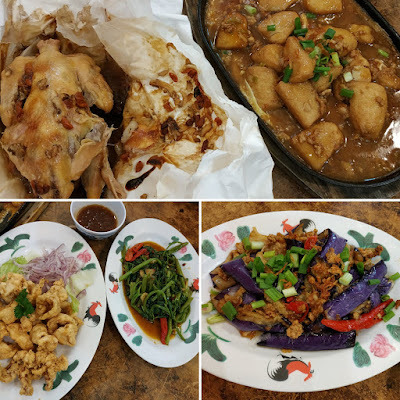 The 4 of us ordered 5 dishes including Paper Baked Chicken, Calamari, Hotplate Tofu, Hock Chew eggplant and Kang Kong with Sambal Chilli for RM107 ~ S$36. The watermelon is chargeable so we decline when the server place the watermelon on our table. The banana cakes are ready baked by noon and queue starts from 11.30am. Give the buns a missed as the buns are dry. -Eureka popcorn (MF-14A, Level 3, Johor Bahru City Square, 106-108, Jalan Wong Ah Fook, 80000 Johor Bahru, Opening hours: 10am - 10pm) The price is 1/3 of SG price so this explains why the queue is always never ending here. Buy 3 big packets/ cans for 1 free small can and on top of this, if total spending exceeds RM60, additional 1 free big can. We head there at 10am and bought the popcorns within 5min. 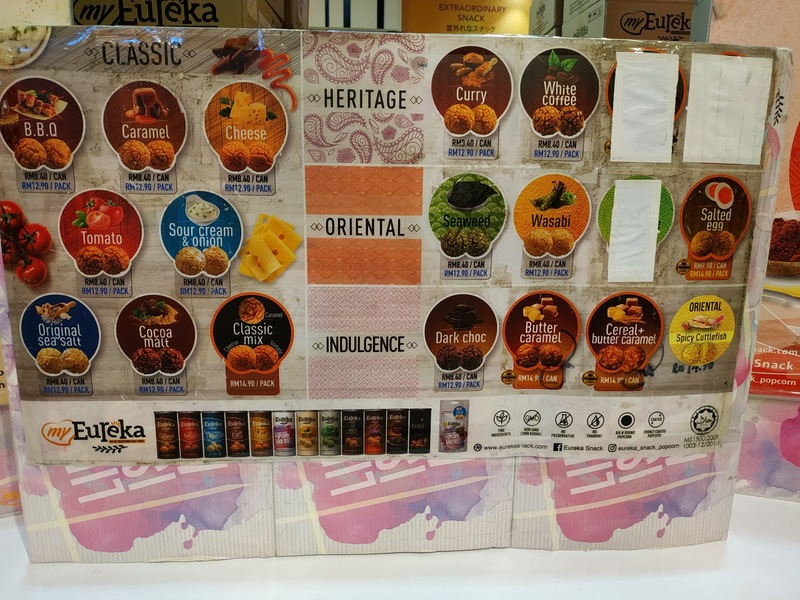 I tried the samples at SG outlet and decide which flavour to buy from JB outlet as the samples are not always available for tasting at JB outlet. 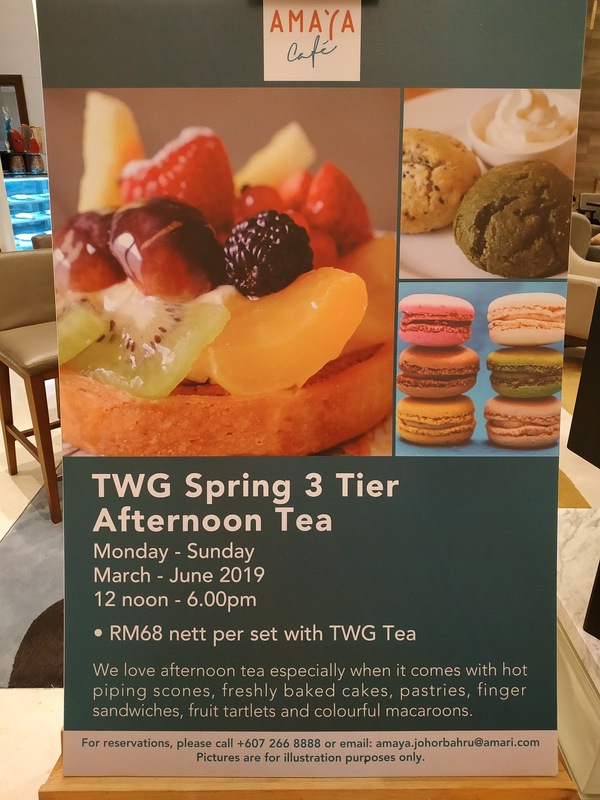 Personally I like these flavours: Salted egg, Tomato, Sour Cream, Cheese, Original sea salt, BBQ, Cocoa Malt, Butter Scotch and Cereal Butter Caramel. I realised that some flavours are not available at the JB outlet. I have watched movies at these cinemas and shall compare the pricing here. The movie ticket is the most expensive among the 4 cinemas probably due to it's location near the custom. Weekend ticket price is RM17 ~ S$6, which is comparable to Singapore cinemas weekday discounted ticket. The price is slightly cheaper than city square as weekend ticket price is RM14 ~ S$5. However I usually pay only RM8.99 ~ S$3 by buying the vouchers from MyDigi app and this will be deducted from the credit balance in Digi prepaid account. It is restricted to 4 ticket redemption in the Digi app. 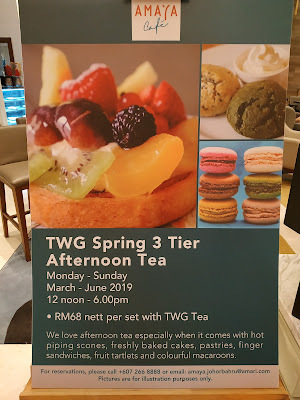 The price has since increased from RM8.99 ~ S$3 to RM9.99 ~ S$3.30 in Apr 2019. During birthday month, there are 2 free tickets for ALLStar member and registration as member is free. However the free tickets can only be redeem for selected movies which are usually those that have been screening for a while. With effect from 1 Jan 2020, member will need to make at least 1 monetary transaction within the last 12 months’ prior the member’s birthday month in order to earn the birthday tickets. Movie ticket is cheapest at TGV. Ticket cost RM8 ~ S$2.70 before 12pm timing and those with maybank credit card (applicable to Singapore Maybank credit card) is able to purchase ticket at RM10 for timing before 6pm. The Touch n Go app used to have 1 for 1 promotion and movie ticket is unbelievably cheap at RM4 ~ S$1.30! However Touch n Go app has since remove these benefits in the app for foreigners. I have tried both the Beanie and Imax cinemas. Beanie tickets cost RM52 ~ S$17 for 2 and I have seen family bringing their kids along so it's really worth for the whole family. The beanie seats are very comfortable and I almost fall asleep. I thoroughly enjoyed the sound experience at the Imax theater. I paid RM15 for the ticket during the promotion and usual price range from RM20 - RM26 depending on the timing and seats. Cheaper ticket is available at MyDigi app and the price has since increased from RM8.99 ~ S$3 in 2018 to RM11.99 ~ S$4 in Jan 2019 then further increase to RM13.99 ~ S$4.50 in Apr 2019. There's 2 free tickets for their member during birthday month and registration is also free. I have watched movie once at their Premier Class theatre and it cost RM16 ~ S$5 before 1pm. The Premier class has it's own lounge and toilets, akin to GV Gold Class. It's couple seats and comes with adjustable leg rest. The only sore point is that the seat is not reclinable. We took the 60min body massage and 60min foot reflexology RM120 ~ S$40 as we wanted to save time and not travel out of City Square. The massage is mediocre so we will not return again. My ex-colleague brought us there and I find the service quite good and value for money. I visited the 2nd time with WB and I booked our session using whatsapp Hp: +60 14 317 9989. I like their D Asia Totality which includes 60min body massage and 60min foot reflexology. Currently they are offering member price as promo hence we only pay RM110. They have a loyalty card where a stamp is earn for every RM80 spent, accumulate 8 stamps to get RM80 off. 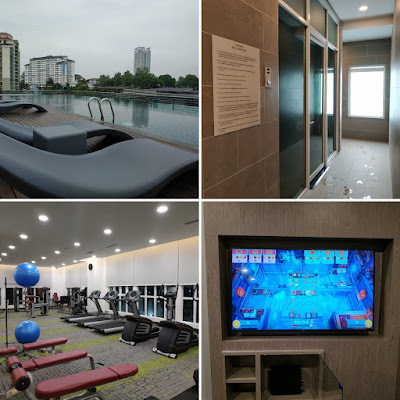 This is a popular massage chain with many outlets in JB. To date, I have went to the outlet at Sri Tebrau and Mount Austin. I always enjoyed the massage session here even when I did not choose the same masseur. My friend wanted to do pedicure and I have shortlisted 2 nails salons which are recommended online. A classic pedicure session here takes about 45min and is price at RM45. 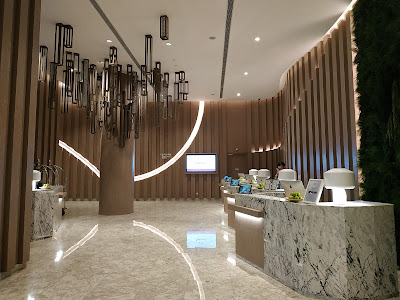 This nail studio focus on nails whereas some other shops which is a combination of hair and nail salon. We went on a weekday and we are surprised that the shop is half filled with customers while some other nail salon are quite empty. 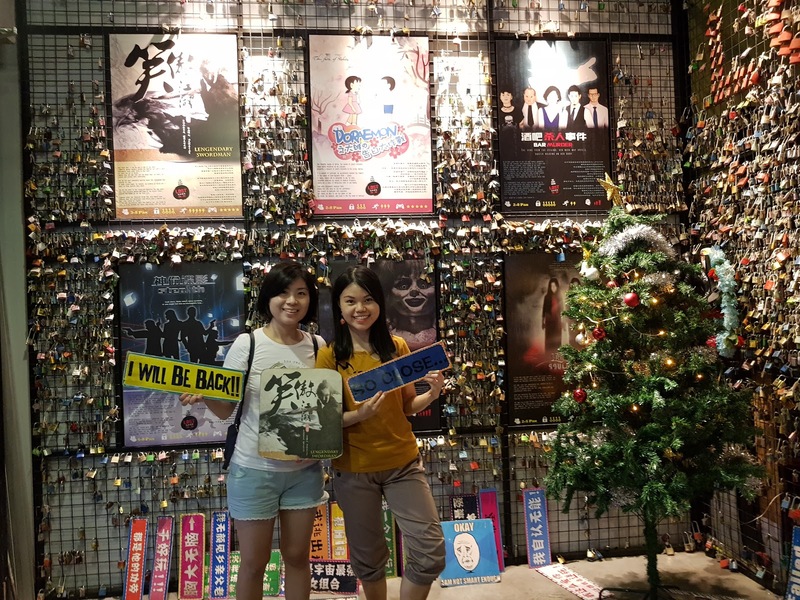 The purpose why my sis and I went to Mount Austin is because we wanted to play the escape room at Lost in JB. (Add: G10&11, Block A, Akademik Suite, No. 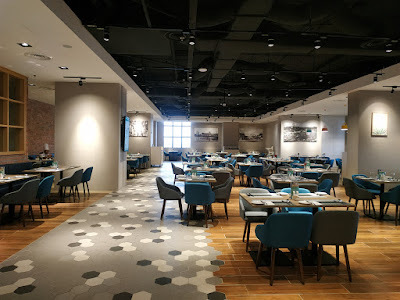 Utama, JB., Jln Austin Heights 3/2, Taman Mount Austin, 81100 Johor Bahru, Johor, Malaysia, Opening hours: 12.30pm - 10.30pm) My sis has played escape rooms before and she is very interested when I told her JB has escape rooms too. Moreover the price is cheap RM42 ~ S$13 as my sis mentioned that it cost above S$30 in Singapore. There are 6 theme rooms with 9 slots per rooms and reservation booking can be make at their website. We chose the Doraemon Nobita First Love 小叮当之大雄的告白大作戰 room which is the easiest among the rest and we took more than the allocated time to escape from the room. As we went on a weekday, there was nobody playing the same theme after us and we were allowed to play till we escape from the room. It's very fun to crack our brain and some of the puzzles are nonsensical. I'll definitely return again. We went the 2nd time and played the Legendary Swordman 笑傲江湖. We couldn't solve all the puzzles within the 1hr time frame and was not given extra time as the next slot was taken up. We decided to cancel our booking the next day as it's really tough for 2 pax. I return the 3rd time here with WB, my ex-colleague and her hubby. We played the Bar Murder 酒吧殺人事件 and solved it within the 1hr time frame. The Bar Murder is slightly different from the other rooms as we can roam around within 3 rooms to solve the puzzles. 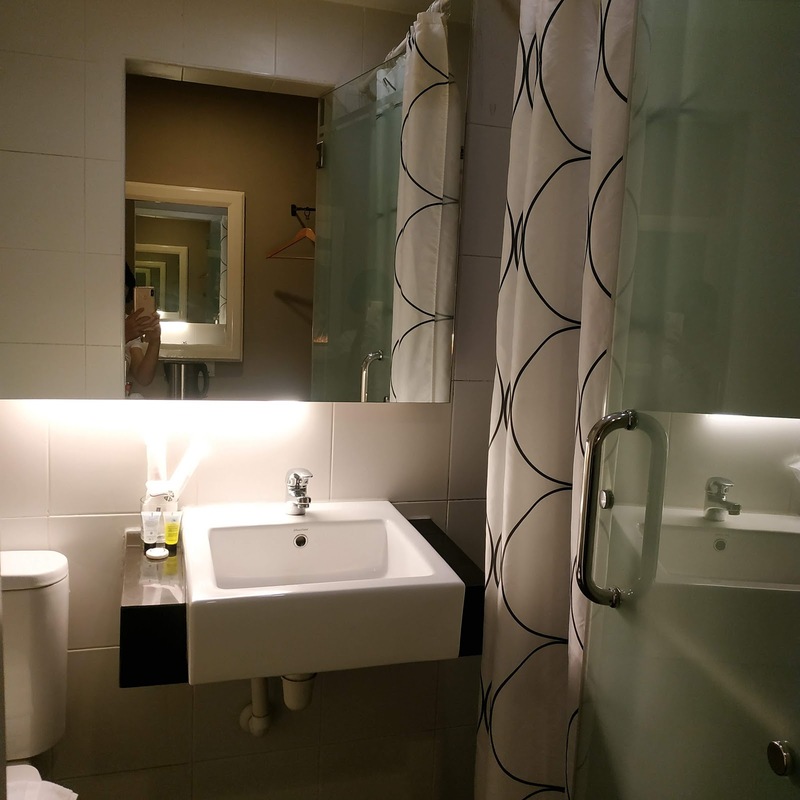 For the other rooms, we have to solve the puzzle before we can move from one room to another. We then took a break for lunch and return to play STEALTH 神偷諜影. We managed to escape the room with 5min left. It's their first time playing and they thoroughly enjoyed it. We wanted to play the Laser Battle at City Square but was unable to utilise the Entertainer app nor the Digi rewards as they don't allow redemption during school holiday. I checked the T&C and there's no exclusion date on school holiday. 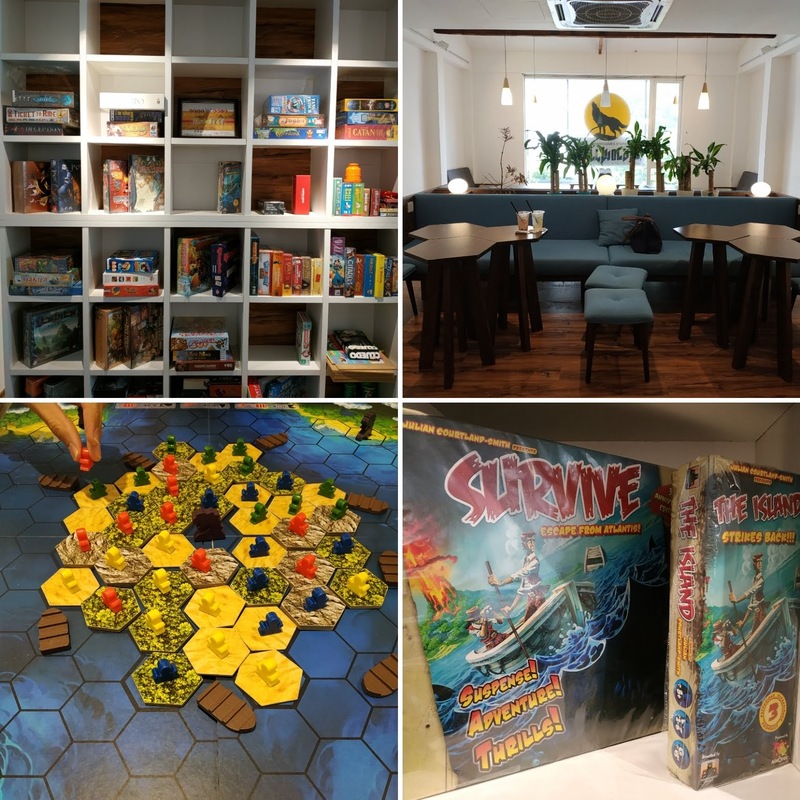 I suggested Fullwolves Boardgame Cafe since we can utilise the entertainer app for 2hr game session. 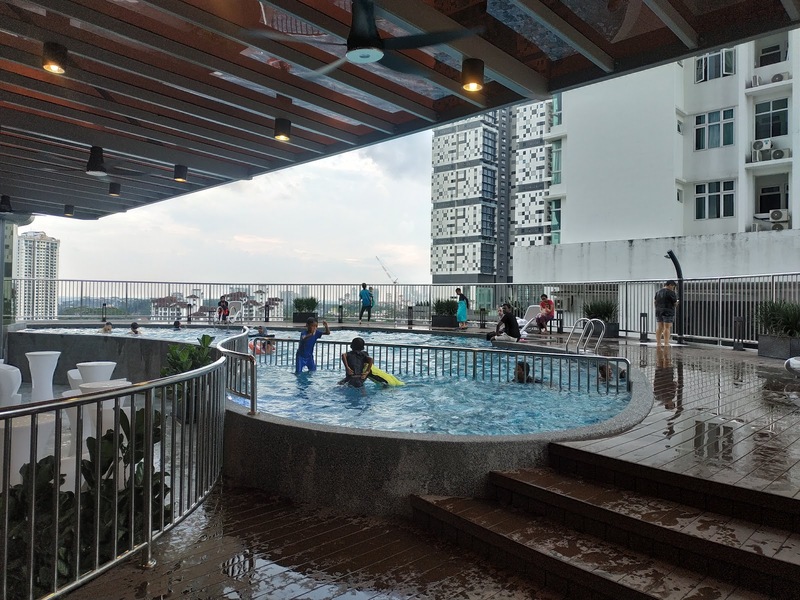 A 2hr game session cost RM16 which works out to RM8 per pax after using the 1 for 1 deal. 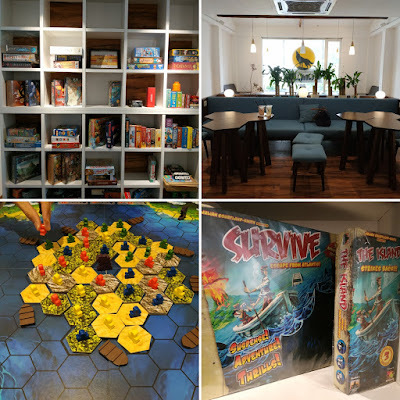 We asked the staff which are the more popular games and she recommend Survive. At first, the game is confusing but after we are familiar with the rules, we enjoyed the game a lot. In addition, the cafe is located above Shakespeare Milkshakes cafe so we can ordered their drinks too.